For my husband’s birthday a few weeks ago I made him a Coconut Flour Paleo Chocolate Cake with Chocolate Ganache Bacon Frosting. It was a big hit. (You could easily leave the bacon out of the Chocolate Ganache Frosting if you are less than thrilled about trying that seemingly crazy scheme.) Here’s a closer look at the cake after it was sliced. Sorry, but I can’t resist showing off my blue hydrangeas. I love hydrangeas! Back to the chocolate cake. Don’t you just want to dig in?! 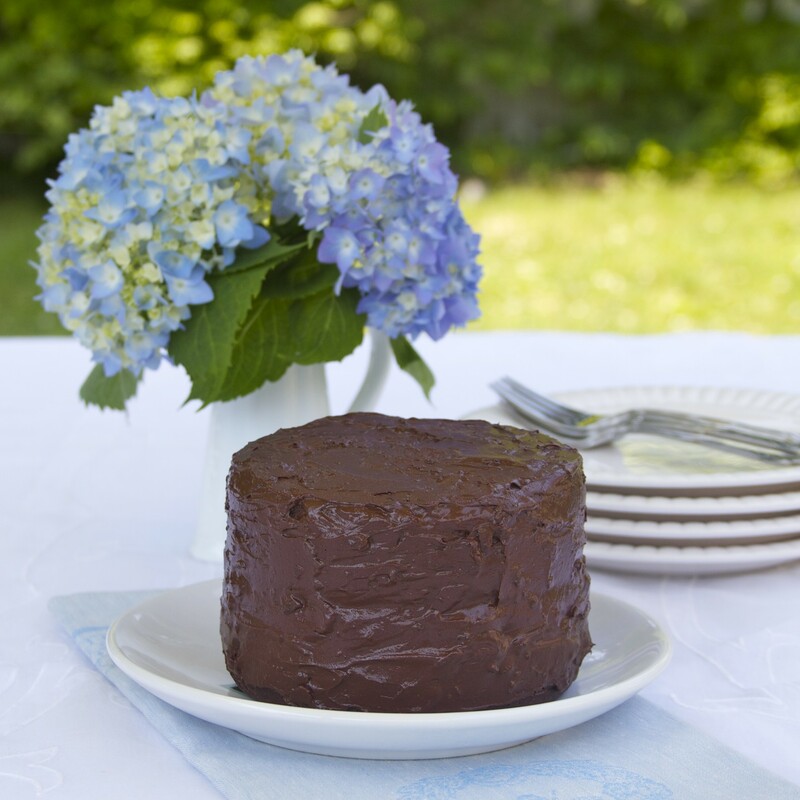 In the chocolate ganache frosting post I promised to provide the recipe for the cake itself in the next entry. But I lost my notes! (Can you say ADHD?) I was about 90% sure of the ingredients but needed to make it again to validate the recipe. This time I chose to make the coconut flour cake with a Coconut Honey Frosting. (Hydrangeas again) And because the layers were quite thick, I cut each one in half and made a four-layer paleo chocolate cake. The cake cooked up and tasted just like the other one so now I feel comfortable sharing the recipe. Whew! Is it a Paleo Chocolate Cake or a Devil Dog? My husband, G, took a few bites of the Paleo Chocolate Cake with the Coconut Honey Frosting and remarked it tastes surprisingly like a Devil Dog. What?! This paleo chocolate birthday cake recipe makes for some pretty thick layers (in the 5-inch pans), perfect for cutting in half to create the four-layer cake you see in the photos below. If you think you might enjoy a dense, moist, chocolatey coconut flour cake then this recipe is for you. No, cavemen would not be making this cake. But WHO CARES?! I feel confident calling it “paleo” because it is gluten-free, grain-free, legume-free (yes, some gluten-free cake recipes have legumes) and dairy-free. This paleo cake is also nut-free which is why I can use it for kids’ birthday parties where nuts can be problematic for some guests. Bake for 25 minutes (for 5 inch pans) or 30 minutes (for 9 inch pans) or until a toothpick inserted in the center comes out clean. Check out how nicely the 9 inch layers turned out! Combine all ingredients in the bowl of a stand mixer and beat on low for about 30 seconds. * The frosting will “break” when you first start mixing it. Just keep going and it will eventually come back together and be light and fluffy like whipped cream. Allow the cake layers to cool completely. Then cut each layer in half lengthwise. Begin adding the frosting to each layer until you have a four-layer cake like this one. The frosting is slippery and you could easily have a disaster on your hands if you are not careful while putting this together. I don’t recommend trying to put too much frosting in each layer. The coconut honey frosting was very wet at first and I was afraid it would just melt into the cake. But once I got it onto the cake it actually set up quite nicely. I did put the cake in the refrigerator at first just to make sure the frosting set. But after that I left it sitting out for a day in a glass-covered cake stand and it is was totally fine. The frosting is very light and fluffy in contrast to the heavier cake. It made for a delightful combination. 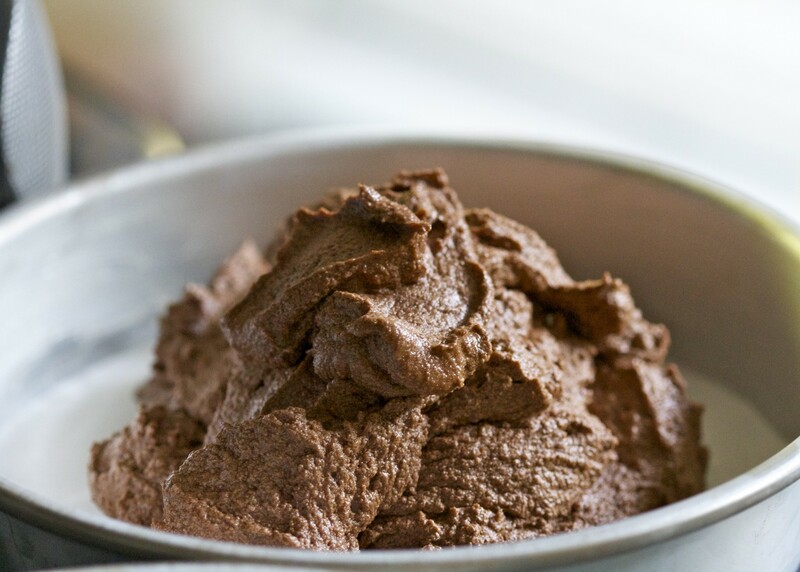 If you are making the larger version of the paleo chocolate birthday cake you may want to increase the frosting recipe. But I found it was enough for a two layer cake. Delicious Gluten-free Dairy-free chocolate birthday cake. Combine all frosting ingredients in the bowl of a stand mixer and beat on low for about 30 seconds. Enjoy! Please let me know what you think. Thanks for stopping by. Find Paleo Spirit on Facebook! 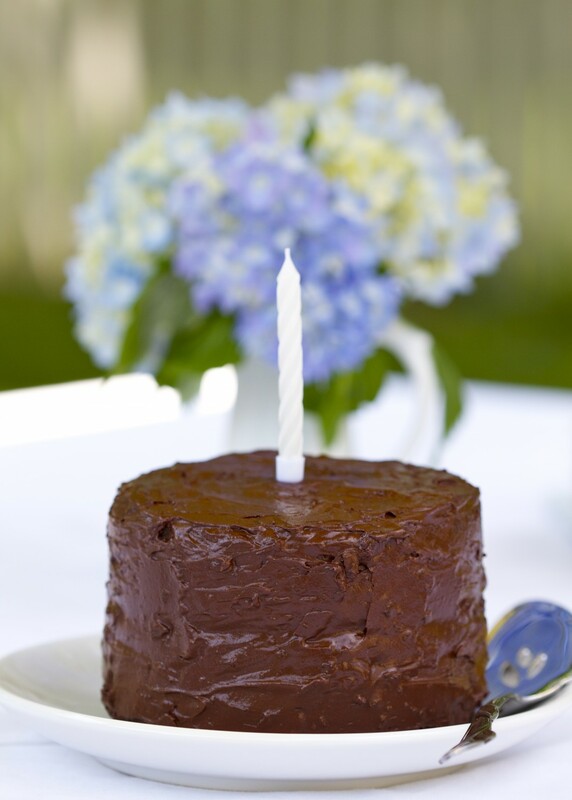 306 Responses to "Paleo Chocolate Birthday Cake"
WOW! This looks amazing. I am going to pin it for a later use! I can’t wait to try this. Thank you for a cake recipie without nuts. A nut allergy makes paleo interesting to say the least. This looks amazing!! Can you tell me if Palm oil and palm shortening are the same? I’m in Australia and can find Palm oil (my daughter is horrified even tho I told her it was from a sustainable source) but not shortening. what could I use instead. Hi Sue, I believe palm oil and palm shortening are the same. At least the one I use is 100% palm oil shortening. It is white and solid at room temperature. That’s the key. You could potentially use butter as a replacement. Another option would be to use the coconut fat skimmed off the top of a can of full fat coconut milk. Putting it in the refrigerator first helps. 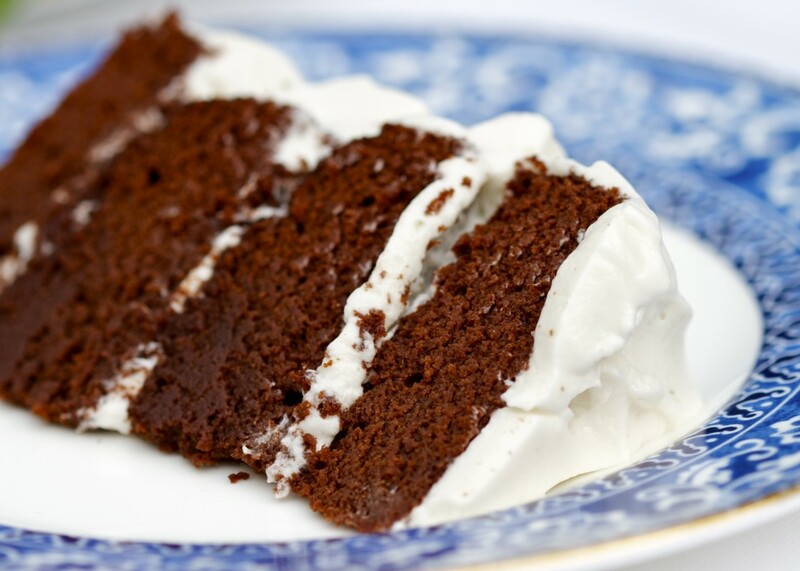 I have not tried it for this recipe so I can’t say how the consistency would work for a frosting – I think it would be fine on top but maybe wouldn’t stick to the sides. Makes me think I should try it out. I hope that helps. Good luck! I have not personally tried this cake, but I have made several “paleo” coconut cakes and this one looks amazing. I do usually use the fat from the full fat coconut milk. It gives amazing flavor and texture. Sue, the palm oil you have is oil from the flesh of the fruit itself, but the white/clear coloured palm oil is palm kernel oil, oil from the seed. Palm oil has a very strong flavour and it would ruin the recipe in my opinion. You definitely don’t want to use palm oil, which is not the same as palm shortening, as Peter explained. Spectrum makes a palm shortening that’s fairly easy to find as they’re a national brand. I find palm oil to have an interesting flavor, but I never use it straight. It’s a bit much. The Weston A. Price Foundation site and Nourishing Traditions cookbook have a recipe for “Mary’s Oil Blend,” which if I recall is one part red palm oil, one part olive oil, and one part sesame seed oil. I find that an odd blend. I have used a blend of red palm oil, coconut oil and ghee and it was very nice. Still, I wouldn’t use it on everything. The red palm oil, even if “diluted” with other oils, will impart some red color to dishes. Best for savory use. Also, please try to find sustainably sourced palm oil. A lot of palm tree plantations have apparently been planted in place of mangroves and habitat for the orangutan. So there are sustainability issues to consider in choosing a brand. Any brand that is marketed to the Paleo/primal/real food crowd is likely to be one of the better ones. Hi I was wondering if I can use cold coconut oil in place of the palm shortening for the frosting? I imagine you can do that. I haven’t personally tried it but I believe others have with success. Of course it starts to liquify as it warms up so it would behave differently from the palm shortening but maybe no more likely to melt than butter. Let me know how it goes if you try it! I have used coconut oil at room temp with great success. I made this cake for a friend it was a crowd pleaser! I did the cake in 3 8″ pans which left me with perfect thickness layers. I made the frosting with a tiny bit of coconut sugar and vanilla because the coconut milk itself is rather sweet and I didn’t want it to be overpowering. I cut the frosting batch in half and mixed half with my home made nutella and used that between the layers, then frosted the whole thing with the white frosting and decorated it with swirls of orange-scented chocolate ganache. It was pretty and delicious. Thanks so much for these recipes!! Wow, Beth, you sound like an extremely creative cook! I’m impressed. I would like to try your version of this recipe. Yum. Glad you liked the cake. Lea – oh my goodness! Thank you SO much for this recipe! I found your site months ago and bookmarked this recipe for my own birthday back in April and never got around to making it until today! I have finally transitioned my whole family to paleo and I was putting together a list of things to send in my boys lunchboxes so they don’t feel deprived during this transition. So I decided to make your cake and turn it into snack cakes, individually wrap, and freeze to stick in their lunches a couple of times a week! You DID NOT DISAPPOINT!!! Thanks again! Palm oil is a deep orange unlike palm shortening. I’m originally from Nigeria and palm oil was a cash crop and one of our main export products for centuries. It’s healthy, sustainable and helps poor farmers make a living for their family. Palm trees grow practically everywhere in the West Coast of Africa which is where Nigeria is. Please do not believe the propaganda of big western companies spreading fallacies in their fraudulent pursuit of expanding markets for Canola oil, Sunflower oil and other unhealthy oils. Thanks so much for the compliments and the link on your Facebook page. It’s just like a man to think Devil Dog = awesomeness. LOL. I appreciate the SEO advice. I went and put in the tags you suggested. I love my hydrangeas – I’ve learned the color depends on the acidity of the soil as well as the species. They sure do require a lot of water. I’ve been out in the heat today watering them so they don’t totally wilt and die! Yum, must try this one soon! Question tho: What would the ratio’s be for just a single layer choc cake in a reg size round cake pan? I just made it yesterday in two 9-inch pans per the recipe and it turned out perfectly, albeit thinner than the ones in the 5-inch pans. You could probably just half that recipe. (Not sure how to do 4.5 eggs! :-)) Or you could possibly use the 5-inch recipe and just put it all in one pan. It would just be a fairly thick layer and I’m not sure how much time it would require to bake – probably 35 minutes? Next time I make it I will make an attempt at one 9 inch layer because there are probably plenty of people like you who want something less than a giant cake but don’t necessarily have the 5-inch pans. I haven’t tried freezing it but can imagine it would freeze pretty well. Making a cake for a different person every day is a nice deed. Sounds a little exhausting unless you love baking. This cake isn’t cheap either so it certainly would be quite a nice gift. Wow this looks great! Can’t wait to try the honey frosting too. Devil dogs used to be my favorite junk treat when I was a kid, so I am actually glad to hear it tastes like one. Beautiful looking cakes! I will have to give this one a go! I’ve not had a great relationship with coconut flour so far – but I’m hoping this will sort out our differences! P.S. I’m loving the hydrangeas! I have a huge Hydrangea plant by my front door – ours are a beautiful pink. I’ll have to snip off a few heads and use them in future post! Yes, coconut flour can be tricky because it is so dry. I hope you will like this cake. I don’t know about you but I end up watering my hydrangeas every day when it’s hot. High maintenance in that way but well worth it IMHO. Love this recipe, and will try it once I order the 5″ pans. Question, did you buy the 2 inch deep 5 inch cake pans, or the 3 inch deep pans? I may have linked to the 5″ x 3″ pans in the post but I just checked and mine are the 5″ x 2″ pans. good luck! Thanks so much! I will order mine online today and make this next weekend. I will let you know how it comes out! Happy 4th! Any idea what could be used as alternative to palm shortening in the frosting? No idea where I’d get hold of that here in the UK. It has the same consistency as other types of shortening (though I would certainly recommend you NOT choose a hydrogenated one). I thought it would be interesting to create a “dairy-free” and vegan frosting. But if I had not chosen palm shortening I would probably just use a high quality butter. OMG!!!! I made this cake yesterday for my birthday and it is literally the BEST chocolate cake I’ve ever had. I did add a 4 ounce bar of 99% chocolate, melted just to boost the chocolate flavor. It was phenomenal. I used butter instead of coconut oil. For the “icing” I made chocolate mousse. Whipped heavy cream from my local dairy farmer, and 99% dark chocolate, melted with some honey to taste, and folded that together. I cannot begin to tell you how amazing this was. My family didn’t even know it was flour and refined sugar free until I told them! Thank you so much for the paleo cake recipe. I have been going paleo strong now for 2 months, but my birthday is tomorrow. and growing up non paleo. it was a family tradition to at least have a birthday cake. so you could imagine my mothers horror when i told her i wasn’t aloud to eat grains. thank you for giving me an excellent substitute for this day. I will most certainly be trying this recipe as soon as my current Whole30 is up! Thank you for giving me that excuse! I’ll try cupcakes this week. Today I’m planning on working on a peach tart because they are so delicious right now. Good thing I’m not on a Whole 30 this month! Good luck with that, it can really do wonders. I made this cake for my birthday… it was so good! I made the 2 9″ rounds.. and I think next time I make this, I may increase the incredients by 1/2 so that the cakes are a little thicker.. other wise, it was paleo perfection! That looks absolutely divine! I love that it doesn’t use nut flours. Bookmarked it! You could probably use honey. The only thing is maple syrup is more liquid than honey and you need the liquid because the coconut flour is so absorbent. I also think honey is somewhat sweeter because it is more concentrated. Just keep those things in mind and adjust accordingly. If you do try it please let us know how it goes. Although this is from an old post, I’m hoping you will still reply with an alternative for the Maple Syrup. I understand about the consistency issue but a cup of syrup seems like a lot considering the cost of it! I’m new to Paleo baking so I don’t know if there even is an alternative. I want it to taste right so if you can’t suggest anything, I will just make it as you posted. Thank you for being so gracious and sharing your recipes. Can I use Sugar in the Raw (powdered)? Hi Pat, I understand about the cost of maple syrup. You can use an alternative sweetener. The only thing is you need to make sure that you have the equivalent of the 1 cup of moisture. The coconut flour is so dry that it really needs it. You could use Sugar in the Raw but you would probably need to figure out a way to add water to it so that it had roughly the same consistency of maple syrup. I’m not sure what the amount of sugar per 1 cup of water would be. I hope that’s helpful. Good luck! Thank you so much for this recipe! I made the cake yesterday and couldn’t decide which frosting to use–they both sounded so tempting–so I filled the cake with the Coconut Honey Frosting and iced it with the Ganache, minus bacon. It’s scrumptious! I’m sure we won’t be able to eat it all tonight and I wanted to prevent dryness (though it doesn’t seem like it will be a problem with this cake), so while I was filling the cake I brushed each layer with the coconut milk I had left over from the frosting (I would normally use simple syrup, but this seemed like a good non-white sugar substitute). Hope someone else finds it helpful also! Thanks for the tip Andrea. I’ll bet the combination of chocolate frosting and coconut filling was amazing. Made these for a church brunch this morning as mini cupcakes with ganache on top. I have been wanting to make it but didnt want leftovers at home. So I had a great opportunity. I used flaxseed/water blend in place of eggs. DELICIOUS!!! My kids thought I was their hero. They can’t wait for me to make them for their birthdays! Seven different cakes were made for this brunch. Guess which cake disappeared first? Thanks for the recipe! Kelly, how many mini cupcakes did the recipe make, and for how long did you bake them? It made 36 minis and 8 regular. I cooked them about 15-18 minutes for the minis a little longer for the regular. Oh this is so fantastic! I’m making this for my 11yo’s birthday and I’m really excited that they are good for cupcakes! Awesome! Made as is, but into cupcakes. I made the 9in Recipe and it made a full 24 cupcakes, and baked for about 22min. I must say I was a bit nervous with the batter as it was very thin, not thick like it said it would be. Not sure how it could be thick with 9 eggs, the coffee, coconut oil, maple syrup… But turned out great. I used full flavor coconut oil so they are a bit like chocolate macaroon cupcakes! Yum. No icing yet, and not sure they even need it! Kids are currently enjoying fresh from the oven. Need to put them away to make sure they last until the party. I’m so glad you did the “hard” work testing this recipe as cupcakes. 🙂 Thanks for the update! I’m glad you mentioned that it was ok with the batter being thin. I just put it into the oven (the 9 in. recipe) and am very nervous to see if this turns out. When using a convection oven to make the cupcakes, you only need to cook them for 18 minutes. Tried to copy this recipe, but the batter was nowhere near as thick as in the pictures, it was as runny as cocoa-milk actually. Maybe because of the fact we used shredded coconut i.o. coconut flour. But we can not get our hands on it here. We’re just starting at baking paleo type cakes and stuff, but what did we do wrong?? It’s like everything is going wrong, nothing has the right consistancy or colour.. Tried another frosting/icing recipe, but it should turn out white.. it’s honey coloured and again, still quite runny.. it’s more a glaze than a frosting..
As for the frosting, I have made other frostings with butter in the past but have only made this particular recipe with palm shortening. If you are using butter and having problems with the frosting I suggest you search for a recipe that is specifically butter-based to make sure your experience goes better. Also, in order to get the consistency of a whipped frosting instead of a glaze you have to use an electric mixer. There’s almost no way to whip enough air into this recipe without a stand mixer or an electric hand mixture. Mine was way runny too, I wonder if my coconut flour is old? When I tasted it, I could feel a grainy texture from it not soaking up the liquid. But the batter still tasted good! Popped it in the oven and everything came out just as fabulous as I expected! I know this is an old post but reading about this amazing cake! I have found egg size makes a difference in consistency….use large, extra large eggs versus medium size eggs and you will have more liquid. Also, some syrups are runnier than others. Room temp is thinner than refrigerated. Ps….you can find coconut flour on ebay also….ebay is global! Horray! Good luck! I made the nine inch cake. My cake batter came out very watery but cooked beautifully, I used a bear pan cause its for my sons first birthday tomorrow. The frosting on the other hand I have no idea what to do!!! I’m in a furnished apartment now with no electric mixer so everything has been done by hand with a silicone whisker, what a arm workout! I’m guessing that if I had the right tools it would’ve turned out. Yes, the frosting recipe really needs an electric mixer. It takes time and a lot of speed whisking before it comes together. I’m glad the cake worked out though! You rock! I went grain-free some years ago due to allergies. I gave up trying to find edible gf bread a couple of years ago. I figured looking for gf cake would be worse. This cake is just beautiful. I have copied the recipe and am going to make several over the holidays. Just can’t thank you enough! You’re welcome and I hope you like the finished product! I also have made this cake (a few weeks ago) for our grown daughter’s birthday, and it was DELICIOUS! I bought the 5″ pans on Amazon, and the cake, with the chocolate frosting (minus the bacon) was truly wonderful, and allowed us to stay on our diet (Beyond Diet), yet snack on some home-baked goodness. THANK YOU! I will be making this again. Coconut can be a problem for some with nut allergies, I would be cautious about serving it to a potentially allergic population like kids. Also, honey is not vegan. It’s an animal product. Thank you so much for this recipe. I was about to pull my hair out looking for a paleo chocolate cake for my daughters 4th birthday and this is perfect!! She saw the pictures and her frown flipped upside down with lightning speed! Thank you so much for this recipe! 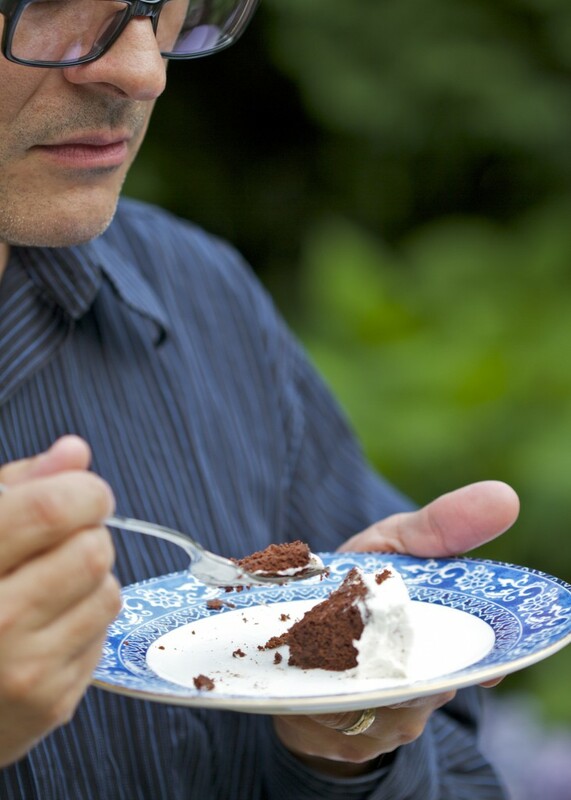 I love eating clean, paleo food…BUT I also love chocolate and cake! My cake batter was also pretty runny so I added a couple Tablespoons of coconut flour and it turned out perfectly moist. I broiled the bacon and it was a bit too crunchy in the ganache, so I think baking or frying would be best. Again, thank you–recipe is perfect. I hope it turned out well for you. The berries sound delicious. I am horrible at baking but seeing as I am making my husband eat Paleo, I should probably bake him a birthday cake! Just wondering what difference the coffee or water makes to the cake? It looks amazing! And I totally agree with you about the ‘light and fluffy’ cakes, never liked them. In fact I haven’t had much trouble going paleo cause I never ate cake to begin with. I think people who love cake have it harder. So from someone who doesn’t like cake, this looks so delicious and I might have to make a test cause I’m so horrible at baking, (and maybe so I can try it) sometime this week before my boy’s birthday next Sunday. I don’t believe the coffee makes a huge difference. You need the liquid so you could sub with water. The coffee just accents the chocolate flavor a bit but it’s not critical. If you are not used to baking and you are concerned about getting it right you might want to do a trial run. Also, I just remade my “Chocolate Paleo Snack Cake” yesterday. But instead of making it in a 9×9 glass pan like brownies, I made it in a 9 inch cake pan. I greased the pan and lined the bottom with parchment paper. Otherwise the recipe and cook time is the same. I topped it with frosting and it was delicious and looked more like an actual cake. It might be another option for a birthday cake. It only makes one layer though. Just something to consider. Ok thanks, I’ll check the other recipe out! Since his birthday is on Sunday, I was planning on taking a cake to church for morning tea! So I will need a fair bit. Just measured my single cake tin and it it 8″ wide by 3.5″ deep.. so not sure which recipe to follow. And should I divide it in two? Or will it work as a single thicker cake? thanks! Love your site by the way! The chocolate snack cake would probably be fine in an 8″ inch pan. My pan was 9″ so you might need to tweak the cook time slightly but otherwise I think it would work well. That would be just one single layer. The chocolate “birthday” double layer cake was also made in two 9 inch pans but I don’t see any reason it wouldn’t work in two 8″ inch pans. I just haven’t tried it. Thanks for the compliment. I hope you enjoy whichever cake you make. I made the test cake today and it turned out amazing! It’s the most complicated thing I have attempted and I am so glad it worked out! Thankyou! This will now be my go to cake for birthdays! Do you mind if I link to your recipe on my blog? Great. I’m so glad it turned out well. I would prefer you not repost the entire recipe but linking to it is perfectly fine. I messed up another recipe but used most of these same ingredients (i used palm sugar instead of paste with the other) and this recipe worked replacing the syrup & extra cup of water with 1/2 palm sugar. Should’ve made the icing too but I had a sweets craving and was too lazy to make to things! It worked and wasnt too sweet. I cant wait to try this recipe and do it correctly. This recipe is fantastic (even when done incorrectly 🙂 !!! 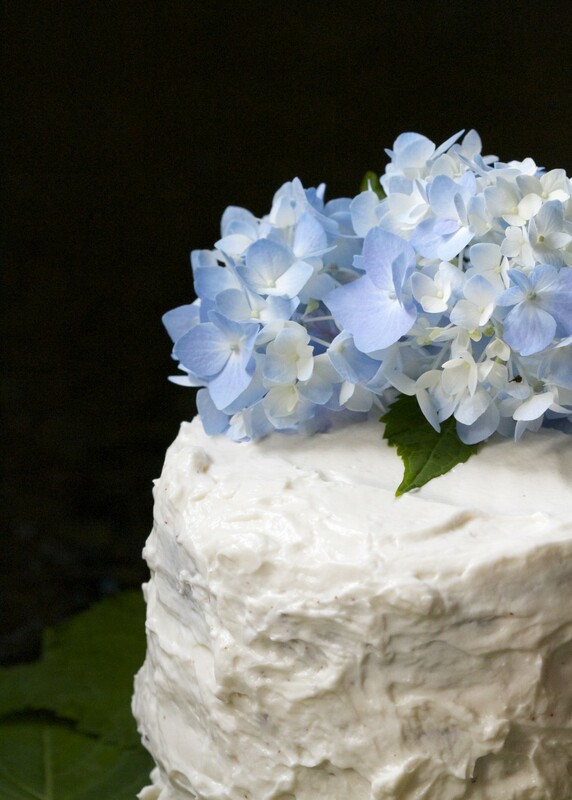 Wow, your recipes and the photos of the cake and your hydrangea all look terrific! I am diabetic, following the Wheat Belly program, so don’t want to use honey or maple syrup. Do you think it would work to use stevia plus something liquidy (coconut oil???) to make up for the moisture that would be lost without the honey? Thanks! Some of my close relatives are currently following the Wheat Belly program. I think you could make this cake using stevia and some extra liquid. I’m not sure you would need to add oil, maybe just a little extra water? I don’t want to steer you wrong because I have never used stevia in cooking and coconut flour can be tricky to work with as it is. If you do give it a try I hope you will let us know how it goes. I was excited to make this cake to surprise my hubs for his birthday tomorrow. My batter also turned out very runny. I’m a pretty good cook and baker, and I followed the directions to a “T”. I used all of the exact ingredients that it asked for. I’m really hoping it turns out. Any reason my batter would have been like regular cake batter instead of the fluffy/thick batter that yours showed? It’s the coconut flour. There can be a pretty significant difference in how it “behaves” among brands and depending on how it is stored. For instance, I saw a post recently that showed that 1/2 cup coconut flour can vary between 45-59 grams. I have made the cake a few times now and it has turned out good even when the batter was more “wet” and less fluffy. If your batter was like a regular cake batter you are probably fine. I’m hoping it turns out! I would prefer if you post about the recipe that you not repost the recipe in its entirety. I would love to see you post about it and get your thoughts on the results. You may even use one of my photos if you like with a link back to the original recipe on my site. I need to now frost it for my son’s birthday dinner tonight. The problem is I cannot get palm shortening (I’m in the UK) except by ordering it from the US for absurd amounts of money in customs and shipping. 1) Should I try to make the frosting with butter, or coconut oil? I have both. 2) Is it important to use the coconut milk with gums added to bind it? I usually buy the coconut milk without, which is much runnier and doesn’t stay together long after mixing it with an electric mixer. I’m guessing the coconut milk with the added gums is going to be more likely to stay firm enough to hold up the rest of the cake but some confirmation would be helpful. P.S. I love your hydrangeas. I’ve always loved hydrangeas, and also grow them since moving to the UK from my native Canada, a very cold region where hydrangeas couldn’t grow. For the frosting I would definitely recommend the butter over the coconut oil primarily because I have had more success with butter in frosting than coconut oil. Just keep in mind the color will not be as white as the one you see in my photos because the yellow of the butter is not cancelled out by a ton of powdered sugar. I use canned coconut milk in this recipe and I have only ever used the full fat variety which is much thicker (usually without a lot of added thickeners) than the ones that you might find in the refrigerated section of the grocery store. If you only have the other variety just be mindful that you might not need as much. I’m not sure how it will work simply because I haven’t tried it. But I’m crossing my fingers hoping yours works! I just had to thank you for this amazing recipe! I made the cupcakes version, and they made a special birthday picnic at the zoo even more special. My husband and I both eat gluten free, mostly paleo, but since he is sensitive to almonds its very hard to find good cake recipes without almond meal. I am also somewhat sensitive to sugar (which is mostly what caused me to go to a paleo-type diet) so I needed something that used a more acceptable sweetener. Btw, I did use butter instead of palm shortening in the frosting. Like I said, we’re not totally paleo since we still eat dairy. But I thought some people might like to know, it does work just fine as a substitute. I’m looking forward to using this recipe again and again. I thought your chocolate cake looked amazing! and as im new to Paleo i thought i would give it a try as i have visitors tomorrow! I had all of the ingredients and followed the recipe, however i found my batter was as liquid as water! I know others have found this as well and i understand its down to the coconut flour? Ive found it hard to find more than one brand of coconut flour in the UK, without spending a fortune on it from the internet 🙁 I added more coconut flour, maybe another 1/4 cup but it made no difference at all!? I baked mine in 2x 6″ pans and firstly for 25 minutes, as directed, but they were still completely liquid when i checked them!? Ive put them back on for another 20 minutes and ill let you know how i get on! Update! after the extra 20 minutes cooking they came out beautifully! Oh ye of little faith! Mine are fairly coconutty in flavour, maybe becasue i added the extra flour to try and thicken it, but they look like decent chocolate cakes to me! Brilliant results from your recipe: I’ve just followed your coconut chocolate cake recipe, and like Natalie, I’m in the UK. I’m using Tiana Organic Fairtrade Coconut Baking Flour as well the same brand Extra Virgin Coconut Oil. For the Cocoa I’ve used Green & Black’s Organic Cocoa. My mix was also much more liquid than I was expecting and, as more of a savoury cook, I’m not that practised with baking cakes. However, I needn’t have worried. My oven manual (a newish AEG model) recommends using a lower temperature 160C (which is 320F) for baking a sponge cake. I thought I’d best go with that recommendation as it says simply to add on time as necessary. After 30 minutes my toothpick came out very wet, but I did another 10 minutes, and then another 10 minutes – and the cakes are perfect. I should say that I didn’t have 9-inch tins, but I used 8-inch silicon round cake pans, and the two cake discs look and smell amazing! They are now cooling on the rack. I’m going to tackle the your chocolate ganache recipe next, and then we will take half the iced-cake, and the other half-portion of the cake which will (by then) have been incorporated into my wife’s Black Forest Trifle recipe – which includes black cherries and kirsch, topped with cream, with shaved dark chocolate on top. We’re normally both strict paleo, but this is a special Sunday Lunch invitation from one of our neighbours, and we offered to do dessert! Thanks again for your lovely recipe. I’m going to subscribe to your blog. Just started a paleo-ish diet. Loving the coconut flour option in baking. As a chocoholic…this cake has got me über excited! Got a question though…I live at an elevation of 5,500 feet. Have had issues with cakes before. Would you have any suggestions for high elevations? Thanks a mint! Thank you so much for this recipe. I made this cake for my daughter’s birthday. The kids really enjoyed making it with me – it was sliding all over the place! You certainly weren’t kidding about the slippery part! My husband, who isn’t crazy about cake, absolutely LOVED it. My cousin said it was the best cake she’s ever eaten. I’m going to surprise her with one for her upcoming birthday. This time I will include some decaf espresso instead of water that I used last time, just to see how it enhances the chocolate. This is a remarkable recipe. I just baked this cake (two 9″ pans) for my husband’s birthday tomorrow and they are cooling as I type this. It turned out beautifully and the batter tasted yummy! I used the coffee and got a slight taste on the batter which I loved. Now I have to decide which frosting to use when I finish it off in the morning. I don’t have the palm shortening which is required for the coconut honey frosting and I noticed you replied to somebody to use butter over coconut oil….however the butter I have would not make it dairy free (which I would like it to be) so I will look into another frosting. Thank you so much for posting this recipe. I can’t wait for my husband and children to taste it! Thanks for this great nut-free recipe! I adapted it to make a pumpkin cake for my daughter’s birthday, which turned out delightfully moist and so much lighter than almond flour cake. Everyone scarfed it down – kids and all! I’m intrigued by your use of pumpkin. What did you do? Sounds good! Using the 9″ recipe, I replaced the coconut oil with 1 Cup of pumpkin puree, and instead of cacao, I used 1.5 C coconut flour plus 1.5 T cinnamon, 1/2 tsp nutmeg and 1/4 tsp cloves. I used 10 eggs, although I can’t recall why I thought that was necessary! I also beat the egg whites separately and folded them in last to keep it a little more fluffy. For the icing, I went the primal route with good ol’ heavy cream, pumpkin puree and maple syrup. Brilliant! I think I need to make and photograph an “Annie’s Paleo Pumpkin Cake”! I just made this cake for my husband’s birthday and it was DELICIOUS! We had a few friends over and my friend’s son who is 8 and quite a picky eater finished his plate! Everyone raved about it, and I’m so happy I found this recipe! My icing was definitely watery, but I went along with your instructions, and found that it definitely set much better than I anticipated. Thanks so much for posting! I tried this last night. Cake=awesome! The frosting, however, less than to be desired. Mine turned out very separated. I had lots of honey looking water left in the bottom of the bowl, and then an oily spread for the frosting. It tasted like I was eating shortening with a twinge of honey and coconut. This morning, the frosting is hard and I definitely feel like I am just eating a mouthful of shortening 🙁 I followed the measurements…how is mine not light and fluffy and creamy? Did you use an electric mixer with a whisk attachment? That’s what I used and found that after a bit of mixing it separated into what you describe but if you keep the mixer running it does come back together and whisks into something lighter and fluffier and more akin to whipped cream. So my guess is you either tried whisking by hand or didn’t let it go long enough or fast enough. Not to say there couldn’t be other factors but that’s my best guess. Sorry that aspect didn’t work out for you! Hmm. Well, I used an electric mixer with the two beaters (I don’t know what they are called!). I feel like I mixed it for a long time because you mentioned it would “break” but then come back together. I did see that happen but then slowly the water part started to separate off again. I wonder if I got a bad batch of something? Maybe the coconut milk was bad? Hm. Oh well! The cake was wonderful and I plan to use that recipe again, for sure. Thank you! Oh. My. God. It is so good. This is better than non-gluten free cakes, from what I remember of them. It’s fluffy and light yet moist and delicious. And to think I almost gave up on coconut flour altogether. I guess you just need the right recipe. It’s amazing that you are able to find just the right balance in your recipes. This is so delicious!! I made it for my friend’s (who is NOT paleo/primal) birthday, and she and her friends LOVED it!! Between five of us half the cake was gone in one sitting. I used the chocolate ganache recipe (SO GOOD) from this website to frost the cake, but next time I’ll try the coconut frosting. And there will be a next time! Can I make this in a Mickey Mouse cake pan for my sons 2 yr bday? What alterations should be done if any? I love your paleo snack cake, but am thinking about making this one for my son’s first birthday this week. Could I possibly use a banana to sweeten the recipe instead of the maple syrup? I would love to know your thoughts! Thanks for the compliment. I’m glad you like the snack cake recipe. That’s one of our favorites. I don’t recommend subbing with a banana for the birthday cake. It might work but I’ve never tried it. Plus, the texture of this cake is lighter and fluffier than the snack cake which is dense because of the use of fruit sweetener. The coconut flour also just needs the extra liquid from the maple syrup. You might be able to do it if you added some extra liquid with the banana. But, again, I can’t recommend it. You could always follow the snack cake recipe and make it in a 9 inch round cake pan as a birthday cake. I’ve done that and actually like it better that way cut as a pie-shaped slice instead of as a brownie. I tried this recipe a week ago for my birthday. All I can say is WOW! Instead of cake, we made cupcakes, and they came out beautifully. I don’t know exactly how long I left them in the oven, but I used the same baking method of waiting until a knife came out clean. For the frosting, I used coconut oil, cocoa and a dark chocolate bar. It was really runny but after a little time in the fridge, it was the perfect consistency. The cupcakes were really moist, and a bit more dense than standard cake. Everyone scarfed them down and was really impressed that they were paleo. We put some coconut ice cream on the side and it was better than usual. Hi! Actually I think its a compliment that he said it tastes like “the real thing”! Do you have any tips to ensure the cake cooks evenly?? I have not had any luck making Paleo friendly cakes. Mine burn on top long before they even start to cook in the middle. I have that trouble more with almond flour goods than with coconut flour recipes like this one. I think you need to cook almond flour baked goods on a somewhat lower temperature. I have made this for three birthdays now and everyone LOVES it! I have a question – could I use this recipe to make whoopie pies? I’d like to use paleo marshmallow for the filling. I’m just not sure if the batter would behave in small dollops or not. I’m not sure about whoopie pies. I haven’t tried this batter for those but if whoopie pies can be made from regular cake batter I don’t see why it wouldn’t work. If you try it please let me know how it goes. Thanks! 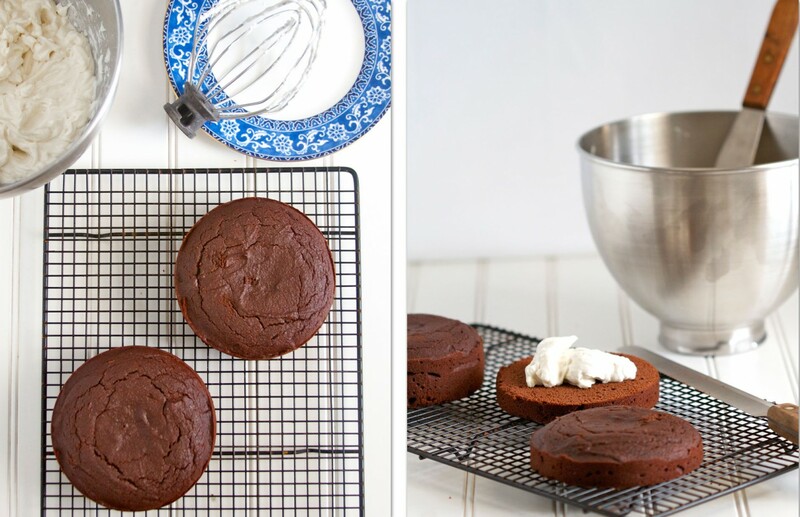 You can buy”whoopie pie pans” that are just really shallow muffin pans, but I would say to try just using a regular muffin tin and using a small amount of batter in the bottom. Or if you’re feeling adventurous, you could try baking the cake recipe in a jelly roll pan and cutting or using cookie cutters for smaller shapes, more like petite fours. I LOVE this cake!! I’ve made it 3 times now and it always turns out fantastic. I’m not on a paleo diet, but I do have several celiac’s in my family including myself and kiddos, so this works out great. I do some substitutes to lower the fat and cholesterol though. I use grapeseed oil instead of coconut oil, I use 2 whole eggs and 12 egg whites and 1 cup agave nectar instead of maple syrup and it turns out amazing. I typically also just make a butter cream frosting or chocolate ganache. So tasty!! Thanks for the inspiration! The recipe seems nice, however honey is not vegan…. There’s a little bit of debate on that in the vegan community that I have read about. However, if honey is not for you then you can substitute a vegan honey alternative. Hi there, I’m just getting more into GF cooking and wanted to try a good coconut flour recipe and this looks great. Do you happen to know nutritional info. like calories and carbs? Would love to get a handle on that as well. Thanks! I ran this through the recipe calculator at LoseIt.com. Making the 2×9-inch recipe and adding the frosting recipe, then dividing into 8 servings yields about 770 calories per slice. There’s no way this cake yields only 8 slices. Those slices would be enormous! It would be closer to twice that many servings for a double layer cake like this. But that’s cool to know the general range of calories in the cake. Made cupcakes for my child’s fourth birthday party. Loved them. Easy and tasty! Thanks for sharing the recipe! which frosting did you prefer? the chocolate ganache or the coconut honey and why? They are so different, it’s tough to decide. It really depends on my mood. It’s hard to beat chocolate but the coconut honey has a nice, fluffy texture that I enjoy. It reminds me a lot of whipped cream. In some ways that one is tougher to make because you need an electric mixer and patience if it “breaks” before whipping up again. I loved this cake! Very simple to make and no one would ever guess that its gluten, lactose and nut free. Unfortunately I had one small problem with making this cake, and hoping you can give me advice on where I may have gone wrong for next time. I used the chocolate ganache frosting on the cake and between layers, which was completely delicious, however the next day after leaving the cake in the fridge, the frosting went hard and turned into chocolate and the cake very difficult to cut and eat. Was I not supposed keep the cake in the fridge? Thanks for any advice! I’m really glad you liked the cake. There’s no real need to keep the cake in the refrigerator if it is going to be eaten within a few days. I think you would have the same problem with just about any similar frosting – they harden when cold. If the cake is refrigerated and then allowed to come to room temperature prior to eating I believe the frosting would also soften up again. I’ve never tried this as the cake usually doesn’t last too long around us – especially if it is served to a larger group of people. Thanks for the extremely quick response! I followed your advice and the frosting has softened up… i’ve also put a slice in the microwave for a few seconds and now it’s perfect! I was pretty sure there was nothing wrong with your recipe since I remember the same thing happening to me before with chocolate ganache, at least now I know it has nothing to do with my cake making skills! Wow, Byron so you did the math on the cake cost that I was avoiding! TMI. 🙂 So glad you like it – it’s definitely a special occasion cake for more than one reason. Good question about the eggs. I’ve never had the cake last long enough to really have to worry about whether or not to refrigerate. It doesn’t have a lot of sugar and it does has a LOT of eggs, as you point out, so if you are keeping it around more than a day you should probably refrigerate the cake. This was incredibly delicious!!!!! First paleo cake I’ve ever made, and let me tell you, it wasn’t difficult and it turned out incredible! I made NO changes to the cake recipe. The only change I made to the icing was the use of coconut oil instead of palm shortening ( I don’t have palm shortening in the house). Turned out fantastic. The only complaint in the house came from my husband, who is not paleo, and he get’s upset when I make paleo desserts (he loves desserts as much as I do…but he wants the “real” stuff) The cake DOES taste like a paleo dessert…definitely isn’t sickeningly sweet and has a texture slightly different than the normal cake…but I loved it and so did my bro. Anyway, great recipe! Thanks for it! That’s awesome Niki! Thanks so much for letting me know how it went. I really appreciate it. You’re right, “paleo” desserts are never going to be quite the same as traditional baked goods but I think tastes change over time. I personally like less sweet desserts anyway. Thanks again. You made the icing recipe substituting coconut oil for palm shortening 1:1? Any tips for making it that way? I can’t get any palm shortening and I need to keep my cake dairy free. Thankyou! This is so delicious! I made it for my son’s fifth birthday party over the weekend, and it was a hit. I actually don’t think it has a noticeable paleo taste; my husband said it just tasted more like brownies than a traditional cake (and he generally dislikes cake, so that was good for him!). The frosting was AWESOME. Again, my husband doesn’t like frosting, but he said it was delicious. I’ve never had a Devil Dog, but I can see how this frosting could be comparable to the frosting inside that type of dessert. I will say that I wasn’t thrilled with the frosting when it had been refrigerated, but it got soft again when the cake was out of the fridge for some time. I only made two changes. We’re on GAPS, so I used honey in the cake, not maple syrup (I’ll bet it’s even better with the syrup!). Also, I was using a 9×13 cake pan, so I did some Googling to find cake pan comparison charts. Based on what I found, I increased everything in the 9″ round pan recipe by 1/4, and the batter went in one pan instead of two. The cake baked for about 40 minutes (I can’t remember exactly…it was 3am, and I forgot to write it down!). It was a tad drier than it had been when I made a mini version the day before as a tester, but it was still very good. I tried to add melted chocolate to the frosting recipe to frost the outside of the cake (it was a dinosaur fossil excavation site, and needed to be brown). It only kind of worked. After fifteen minutes of beating, I still only had slightly fluffy frosting with chocolate soup in the bottom of the bowl. I added in some hefty spoonfulls of shortening, and that seemed to do the trick. It finally came together in texture, and it got fluffy, but it was nothing like the fluffiness of the frosting without the chocolate. I had to put it in the fridge to set it, and it worked out okay for the cake (it was the perfect color), but I might play with it some more to see if I can make it work better in the future. Hi Lea! I was wondering, coconut flour is really expensive where I live (Canada), but I do have a ton of almond flour my husband bought down in the states for cheap. Do you know how I would adjust the recipe if I were to use almond flour instead of coconut flour? Coconut flour and almond flour are so very different that it would be hard for me to advise you on how to alter this particular recipe. I do know you would use far more almond flour and far fewer eggs because the almond flour has a higher fat (and therefore moisture) content. I bet you could do a Google search on paleo almond flour chocolate cake and find a decent recipe. It’s on my list to create one so maybe I’ll take your comment as motivation to try my own version – unfortunately my oldest son with the nut allergy will be a bit peeved with me! Good luck. Clare, A lot depends on the coconut flour. Coconut flour is extremely dry and absorbs a LOT of moisture. That’s why there are so many eggs and other forms of liquid. It’s important to use the right amount of coconut flour to have the cake turn out well. You absolutely cannot substitute that in this recipe. There can be variations among brands and depending upon how it is stored it can have more or less moisture content. But I have had several people tell me the batter is fairly thin and it still turns out great. I hope the same ends up being true for you. I just made the 9″ cake recipe and my batter was liquid too. I used 2- 8″ pans and the cake seems to be rising nicely. It smells so good, just like my favorite “real chocolate bad for you cake”. I’m making this for my honeys 41st birthday. He is going to be sooooo surprised. I hope it turns out ok. So far so good! Im new to paleo and trying to find some decent desserts to try. I am not a fan of coconut. I’ve never baked with the flour so I don’t know how strong the flavor is. My friend made some cake the other day with unsweetened coconut flakes and I didn’t care for them. Very coconutty tasting. coconut flour doesn’t taste like coconut. Coconut oil can but this cake tastes like chocolate. I can’t taste the coconut at all! I’m halfway through making it, and I realized that what I thought was cacao powder is actually CAROB powder. Can I sub? Or will this require loading the kids in the car and going to Whole Foods? I hate when that happens! I have never used carob powder but I do believe it is often substituted one for one for cacao. Keep in mind the carob may be sweeter than the unsweetened cacao so some people suggest using less sweetener in a recipe when using carob. Carob also doesn’t take quite like sugar and can sometimes be drier. As long as you like the carob flavor you can probably get away with subbing it. I have never tried it so I can’t speak from experience. I hope it works out no matter which route you decide to take! Okay, I ended up subbing cocoa powder (organic) and they turned out great! Thanks for the recipe! My wife and I were so excited to find this recipe and make it for our son’s 3rd birthday party this weekend. Of course, we’d not done a test run and found ourselves making it late the night before the party. We could not find palm shortening anywhere locally, and we were forced to substitute with coconut oil. I’m not sure if the substitution should’ve been 1:1, but that’s what we did. The cakes came out slightly ‘oily’ but (we eventually discovered) quite tasty! The layers, did, however, come out very flat. We used 9-inch pans. Our batter never did get thick and fluffy as it looks in your photo. Ours was, in fact, a bit ‘soupy.’ I wondered whether the coconut oil substitution could’ve been the culprit, or rather if the eggs were supposed to have been super-whisked (or even whites separated and beaten to peaks)? Anyhow, we ultimately improvised with an almond flour, dark chocolate banana bread middle layer and the result was super tasty! …but any thoughts on where we might’ve gone wrong with our chocolate cake would be much appreciated! Thank you! Happy birthday to your little guy! First of all, I have learned along the way that coconut flour does not behave in a predictable way from person to person. This happens in cake recipes and especially in pancakes. It depends on the brand and how it is stored – whether or not it has absorbed moisture, etc… So one person can follow the recipe and have thinner batter and another will have thicker batter as I did. You can remedy this somewhat by adding a little extra coconut flour if the batter is just way too thin. But as you discovered, the thin batter doesn’t always mean hope is lost. I do agree you could separate the eggs and beat the whites to peaks and that would almost certainly give you a fluffier cake. I did not go that route simply because I’m too lazy to do it! Keep in mind the cake is on the dense side in general and won’t give you the same texture as a standard cake flour would. Thanks for the feedback. I appreciate it as I’m sure others do who read these comments. Thank you for the super speedy reply, Lea, as well as for the thoughts. I realize that you’d recently answered the same question for Clare, so sorry to duplicate you effort. And as someone who’s life’s been transformed by this lifestyle, who loves food, writing and photography and is considering doing something very much like what you’re doing, I just want to let you know that I think the content and presentation of this blog are really terrific, really well done. Keep up the great work! All of us out here are grateful for it! Thank you so much for the compliments. I really appreciate the feedback. It’s nice to know my work is appreciated! Hello there! I just found your recipe via a sewing pattern and am really intrigued with this cake. I love sweets and this looks YUMMY! We are just now trying to go paleo, but I have 4 kids and know that cake and treats will still need to be eaten occasionally. I have a kiddo with a coconut allergy, so I am wondering what you would you replace the coconut flour with? Also, just an FYI, when serving this treat to someone who does have a confirmed nut allergy, I would also ensure that coconuts are safe as some kiddo’s with tree nut/peanut allergies tend to have a coconut allergy too. We found that out the hard way. It’s not common, but for us, it is more severe. Hi there. I made this cake yesterday and it looks good. It’s for company today. I made the frosting as per the directions, except I couldn’t find palm shortening so I used vegetable shortening. The frosting tasted very bland and not sweet at all. It tasted like eating shortening, so I tossed it. Was it because I used vegetable shortening? Was it suppose to taste sweet? I made a different frosting, the cake (the little sliver I tasted as a test) was good. 🙂 the coconut frosting was yucky, lol. And I did use a stand mixer, and it did come out white and fluffy, it just tasted really bad. And my batter was very runny, but baked well. THanks for the feedback. I’m not sure what to tell you about the frosting. It is supposed to be sweet but I think I warned it is not super sweet like lots of traditional frostings. I hope the vegetable shortening you used wasn’t trans fat. I’m not sure about the taste difference. My result was very light and fluffy like whipped cream and pleasantly sweet. So maybe it was the vegetable shortening. Or possibly our tastes are just different. Either way, I hope you at least enjoyed the cake. Hi there! I made this cake for my daughters first birthday and it was a big hit! I had to use a different recipe for the frosting though. Maybe you can help me figure out what I did wrong? It looked like curdled milk, but it tasted good. It didn’t matter how long I mixed it (I used an electric mixer), any idea? Did I just not give it enough time? I tried it two times before trying a different recipe. I think it was just me. WOW! I made this for my mom’s birthday and my husband, the cake connoisseur of the family, said it tasted like it was a gourmet cake! GOURMET! Seriously impressed – and we’ve only been doing a paleo diet for about 6 weeks, so we’re still adjusting to many tastes and textures. Also, I’m guess it was my brand of coconut milk, but the frosting didn’t turn out quite right. It was ok, but I actually had to pour some of the liquid out of the mixing bowl for it to finally turn fluffy. The taste was still good – just the right amount of sweetness for me, but then the texture was a little too much like shortening. I’m excited to try the chocolate frosting next time! Thanks for the recipe! You have made me feel so much better about birthday parties now! I was SO happy when I found this cake recipe!! My sister went paleo a few months ago, and I shortly followed! Our birthdays are also 3 weeks apart, so I decided to make this for our family party! The cake turned out great! The batter was a little thin, but it baked just fine! I used 2 8″ pans, and they were too thin to cut to make 4 layers, but that’s ok. This cake was amazing! My mom and I made it for my brothers birthday. My dad and brother don’t like coconut, but they both loved this cake and couldn’t even tell it was in it. We also really struggled with the frosting. We mixed it on high with a kitchen aid until we thought it was going to overheat. Finally mom added some guar gum and that thickened it enough to stick together so I could frost the cake. All in all a huge success! Thank you! Thank you! I went Paleo four months ago (joining my husband who started a year before me) and am loving it 😀 However, got nervous when preparing for my Baby Girl’s first birthday party because definitely didn’t want a mainstream cake but couldn’t afford ordering this type of cake from a bakery at this time….very expensive :0 Anyway, I had wanted to trial this one last week but we have has so much going on I was unable to. Her big birthday bash was this afternoon and I just got to making it this morning but it was so easy, everything went so smoothly and it was a total hit! My guests, both Paleo and non-Paleo loved it!!! It’s absolutely delicious! And it looked so beautiful and fancy 😉 I’m excited about potentially “trialing” it with different flavorings (like someone mentioned using pumpkin puree). Anyway, thanks again! Great Silvana! Thanks for letting me know. I’m thrilled that the cake turned out well for your baby’s birthday. I have made this a couple of times, and we love it. We have another special occasion coming up, and – unfortunately – I now (cross-)react to both chocolate and coffee. If there is anyone who could make a vanilla cake recipe that comes close to being as amazing as this one, it would be you, Lea! Any chance you have a similar vanilla cake up your sleeve that I could try out? I feel your pain on the reaction to chocolate and coffee. That’s a double whammy! I have been trying and trying to get a vanilla cake recipe right. I’ve tried several times and while they turned out “decent” they haven’t been good enough to share on this site – sadly. I think the issue is the coconut flour just NEEDS something to moisten it beyond the eggs and other liquid ingredients. The cocoa powder plays this role beautifully in these recipes. Without that the cakes have turned out with a texture more like corn bread – not terrible but not awesome. I am testing recipes that use coconut flour along with tapioca and/or similar “flour” that might give the cake a better crumb. You’re motivating me to get cracking on that! I know a great substitute that works wonders if you are interested. I am looking for a birthday cake recipe to make for my soon to be 6 year old son. The cake and frosting recipe you posted look delicious. I am hoping that I will be able to make this cake for my son’s special day. Among his many food allergies, eggs are one of them. I usually replace eggs in baking with a ground flax and water mixture. I was hoping you might know if it would be possible to do so with this recipe. Thanks. To be honest I think it would be very risky to try this cake without eggs. Coconut flour is tricky to work with as it is and it is so dry it needs lots of moisture – thus the large number of eggs – to balance it out. I know ground flax and water can be substituted for eggs in many recipes but I’m not sure about this one. Obviously you are free to give it a try and I would certainly love to hear the outcome. But I’m just afraid for your little one’s big day that it might not turn out as hoped. Sorry I don’t have better news on that front. You’re a good mom for trying to make your son a healthy cake that works with his allergies. You COULD try a practice run by making one layer. Maybe that’s a possibility?? Do you think it is possible to freeze these? I wanted to make cupcakes for my sons birthday and save half for the next weekend for his party. Thanks so much! Is there any possible way to leave out the Maple Syrup and substitute it for something like a synthetic sugar? Or just use Honey instead?? Or will that ruin the whole scheme of things with the baking process. Annie, the liquid in the maple syrup is important to the recipe. You might be able to sub honey but it’s stickier than maple syrup so I can’t say how that will go. Lots of people on the paleo diet use some pure maple syrup so that shouldn’t be a problem. But if you use honey you might want to dilute it slightly to be the same consistency of maple syrup. Good luck. So I made this chocolate cake as cupcakes. I think I didn’t cook long enough cause the middle was very moist, but it tasted like eggs. There was not enough flavour in these. They smelled awesome and the texture is perfect.. just need to up the flavour. I will be making the chocolate frosting.. hopefully that will save them. Happy Birthday. I hope the cake turns out for you as it has for so many others. Coconut flour is extremely dry and absorbent. It is nothing like other flours. But as a result the brand and how it is stored and how it is measured can make a difference in results. But several people have written their batter was on the thinner side and it still turned out fine. No problems! I just left them in for a total of 40 minutes (I used 4″ pans), and they ended up very puffy but fine! The frosting is awesome too! And a little side benefit is the frosting seems to stick much better to the cake rather than the spatula, so applying it is easy and clean-up is easy too! O. M. G.! This was soooo yummy! For some reason my cake didn’t really rise, could be because my soda expired that day or because I somehow missed the eggs until it was all mixed and then realized it and mixed the wisked eggs in. Anyway, we don’t use palm shortening so I made the honey coconut frosting with the coconut cream from the top of the can and GOOD GRAVY! Best frosting ever!!!! Turned out perfect! I made this cake for my daughters baptism yesterday and it was heavenly!!! Thank you for this recipe! Just made one (for an event tomorrow!) and mine didn’t rise either. I don’t see where your comment was responded to. Did you ever figure out what happened? I’ve never baked a cake before, but tried this recipe and it was awesome! Tasted great, and was a big hit at my son’s birthday party. I made the vanilla icing, it had a lot of moisture pooling while I had it in the mixer (looked like runny honey?) but I just siphoned it off and the frosting held together and tasted great. Thank you for this recipe, we were going to have a ‘cheat’ birthday, but this cake was almost effortless and VERY tasty! Do ya use maple syrup for sweetener in 9″ cakes like u do if you do the 5″cakes and if so like 1cup maybe? So..I NEED YOUR HELP!! Mom’s birthday is coming up (like this weekend…procrastinating Queen here) and since I’m introducing my family to Paleo and what better way than a yummy birthday cake!? Your cake looks PERFECT, but I she doesn’t like coconut 🙁 Will this recipe work withalmond flour?? Thanks so much!!! I don’t think this cake tastes a LOT like coconut if you use butter or ghee instead of coconut oil. The chocolate seems to counteract the coconut flavor in my opinion. But if she really doesn’t like coconut then maybe this isn’t the recipe for you. But PLEASE do NOT try to substitute almond flour for coconut flour. They are very different. Coconut flour is very, very dry and a little goes a long way. Almond flour is measured in amounts more similar to regular cake flour. You should probably search out an almond flour cake specifically. Based on your comment it reminds me that I should probably make an effort to post a good almond flour birthday cake recipe. Made the cake and LOVED it! I just kept it plain. I was wondering if you knew the calorie count? Glad you liked the cake, Katy. I have not calculated the calories. Please, please, please, don’t ever put hydrangeas on the same plate as food. Hydrangeas are toxic! Made this today for Mothers Day and my family could not stop raving about it! It’s by far the best chocolate cake I have ever had (Paleo or not). I left mine in two layers since my family wanted to desecrate the cake by having Betty Crocker Whipped chocolate icing on it. I said no way and left my layer plain (I wanted to make the Coconut honey frosting but didn’t have any palm shortening darn it). Moist so even plain it’s heavenly! I agree with your hubby, it does taste like a Devil Dog ! Ad as I child of the 1970’s-1980’s I had plenty of those lol! Thanks for this recipe and I will NEVER make anything but this one when I want a chocolate cake. By the way your paleo/vegan chocolate chip cookies are also my fave recipe (and I tried about 5 other recipes). Wondering if there would be any difference in how it would work out as a cupcake? Planning a 2nd birthday party and wanted to do 12 chocolate cupcakes in addition to 12 carrot cake cupcakes… Have you tried this recipe in cupcake form? Hello! I tried to make this cake but have not had as much success with it. The only thing I changed was i used agave sugar instead of the maple syrup. The batter was runny, tasted ok. But when baked had a sort of rubbery texture on the outside I could pick it up straight from the silicon mould and was about 2cm thick!? Very strange. Im wondering whether im using the right coconut oil – it is hard, and looks like lard in a jar? (rather than runny like oil). Hmmmmm?! I’m not sure what the problem is, Alice. You probably have the right coconut oil. It’s solid at room temperature (assuming your home is not really warm). You would need to heat it up to liquify it – not sure if you did that or if it would make a difference. I didn’t use a silicon mould – just a standard metal cake pan. I think anytime you substitute ingredients you run the risk of it not turning out as expected. Then again, everyone has different tastes. I’ve made this cake for the past two weeks, as my end of the week paleo-friendly “cheat” meal instead of having something non paleo friendly like gluten. (Trying to go a whole year without gluten!) Anyway, The cake always turns out great, but the presentation of it makes it look horrible. I don’t know wether it’s the coconut flour or what, but even after I grease the 5-inch pan til no tomorrow, some of the cake still sticks to the pan. A good amount of it falls apart, but once I put it back together again (like a puzzle) and bind it with the frosting it becomes easier to eat. Still, I’d like to know why the cakes just don’t pop out of the pan like regular flour would. Is it the coconut flour maybe? Hi Rob, I’m glad you like the cake. Coconut flour is just odd and it makes cakes that stick to pans (in my experience too). What you need to do is grease the pan and cover the bottom in parchment paper. I usually set the cake pan on top of the paper and trace it in pencil then cut it out so it fits perfectly in the bottom. I can almost guarantee this will keep the cake from sticking. Also, make sure you let it cool enough before turning it out. You might need to use a knife to go around the sides to loosen it too. Good luck! Mine batter was runny, as I’ve read in so many comments above. After exactly 30 minutes, the pick is coming out clean. However, tbe cakes did not rise. Thoughts? Make sure your eggs and baking soda are fresh. Other than that I think you have to realize a coconut flour cake is never going to be exactly like a regular wheat flour cake. In the future, you could separate the eggs and whip the egg whites prior to folding them into the batter. That would likely make for a fluffier cake but it’s just a bit more work. Also, what’s the best way to substitute the maple syrup for something sugar free? Not sure sugar-free maple syrup will do the trick. I wouldn’t recommend trying for a sugar free cake. Sugar substitutes are usually full of artificial chemicals or would taste terrible in a cake. Hi! 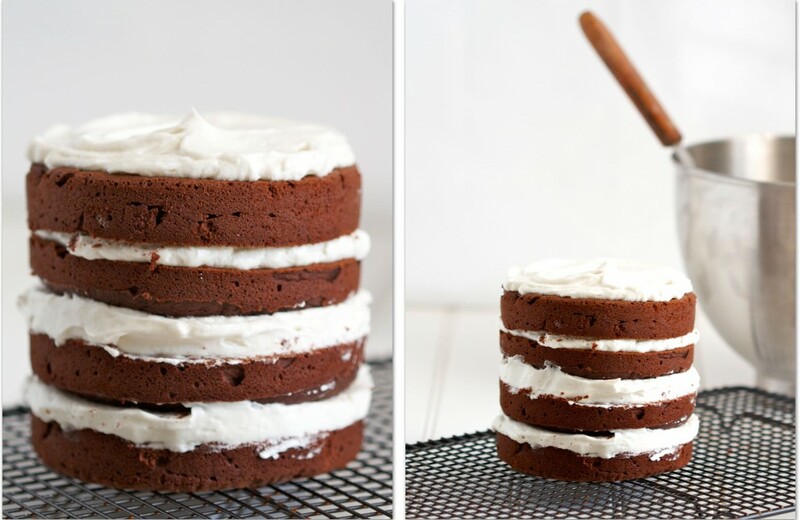 Has anyone here tried this cake (and frosting) without the use of vanilla extract? My daughter is allergic to vanilla (and oranges), so I’d like to substitute something or just leave it out. I’d use almond extract instead, but I have a nut allergic child coming to the party, so I’d rather not chance anything. Any suggestions would be greatly appreciated! I have not made the cake without vanilla. But if there is an allergy I’m sure you can leave it out without it making a huge difference. And I feel quite certain that almond extract has no nuts in it. I have read online quite a bit about that and the word is the manufacturers have confirmed there is flavoring but no nuts. But don’t take my word for it. Do some research yourself online. You may find a good source that can convince you it is safe rather than just taking my word for it. I’m sure you are trying to be super safe which is a great idea. I just think you will find that it won’t be a problem. I’d be interested to hear if anyone else has a different opinion on that. If you are really worried about it then you can just leave it out entirely or maybe use some other type of extract. The cake looks delish! 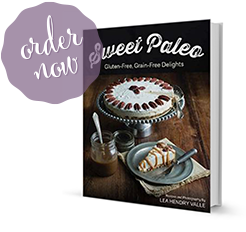 Hubby and I are recent Paleo converts – gluten and sugar issues for both of us. Hubby is diabetic so maple syrup is out, but I’ve used Truvia (stevia and erythritol mixed) mixed with a little stevia with success in baking cakes. I’ve got coconut flour in the fridge and I can’t wait to try this recipe. Will experiment with stevia and let you know how it turns out! 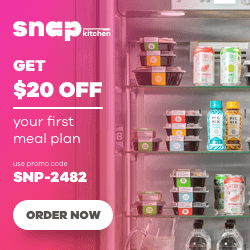 Thanks so much for your website and great recipes, I’m a subscriber! This is the biggest cake I’ve ever made. I’ve made 2 pans for 4 chocolate cake layers. They turned out pretty good, although they came out pretty flat. My dough wasn’t as think as yours neither. I added some almond flour to compensate. I’m know continuing to phase two: the frosting between the layers. I want to use grass-fed butter instead of the palm shortening. Should I blend the butter just in or should I melt it first? Not sure if the butter would blend well unmelted, but then again, the frosting needs to have a certain butter-like consistency. If you are using butter I would recommend you NOT melt it. It needs to have the more solid consistency to work – although I have not used butter in this particular recipe before. Good luck. I just made this cake for my mom’s birthday and it was amazing! I made a 3 layer 5 inch cake. The batter was liquidy, like normal cake batter, but it still came out great. It was think and rich and super flavorful. I made the honey frosting that you give, but it wouldn’t thicken so I didn’t use it. Instead I made a cream cheese frosting (I know, not paleo but so good!) from Elana’s Pantry. For her frosting, I used mint extract in place of vanilla extract. The cake and frosting were great together. 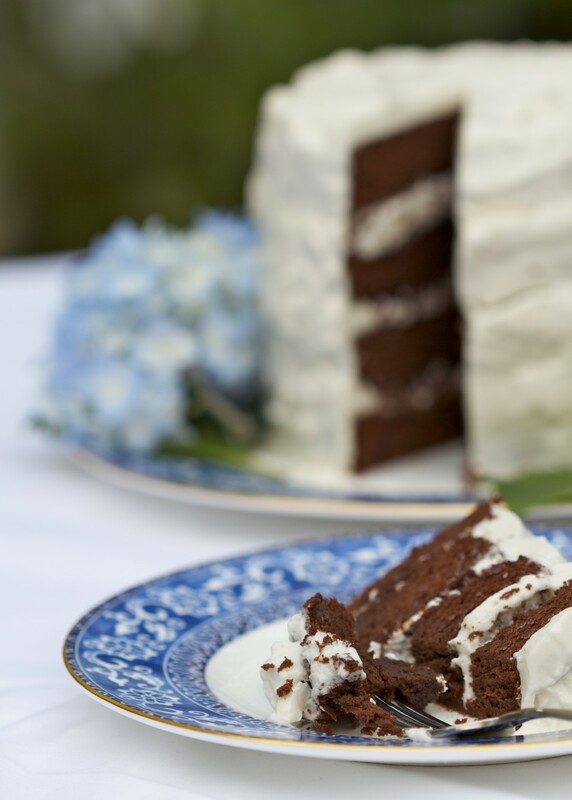 The rich chocolate of the cake was just so good with the minty frosting! I also made vanilla macadamia ice cream from Daily Bites, which was also fantastic. I highly recommend this recipe to anyone who is looking for an amazing paleo cake recipe. I made this cake with my own frosting recipe for my birthday party. I baked it 27 minutes and broiled it for two in 4 8-inch pans and made a layer cake. It was incredible and a lot of people told me it was the best chocolate cake they had ever had, period! Thank you so much for the delicious recipe. Fabulous! I made this last night for my hubs birthday party and not only did the ‘paleo peeps’ love it, the non paleo people devoured it too! Including 3 kids under the age of 5 (and you know how tough that crowd can be!). Served it with some Luna & Larry’s ice cream (made with coconut milk) and it was a definite hit. Going on the ‘must make again’ list! Oh man. Oh man oh man. I made these today, and i’m new to the paleo baking world. These are so delicious!! I love that they are made with coconut flour instead of almond flour. These are going on the keeper list for sure!! forgot to mention, i used butter in the frosting since i don’t have palm oil and it worked perfectly! Eeeek!! PARCHMENT PAPER IS CRUCIAL!! Lol As a novice baker, I thought excluding the paper was no biggie since I didn’t have any. Nope! Better luck next time 😀 just noting for other rookies like me 😀 The pieces of cake taste great though! I lviedthebcake which I chose to make for. my 40th bday party. I did today, taste is amazing. I did two 9inch cakes but my questionis that they are rather flat. Is that how is supposed to be? They are so flat ill just add frosting and add them. 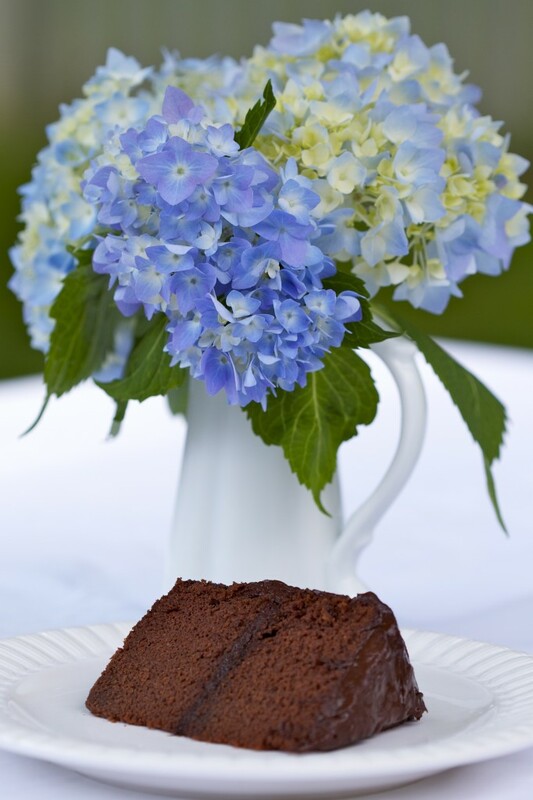 This cake is absolutely wonderful!…..I have made it with both frostings, and I truly don’t know which one is better!….My brother in law ( who is no paleo eater) called to let me know that it is the best cake he has ever had!…Thank you so much….I love your recipes! I just made this cake yesterday for my birthday. I was a little worried because my batter was LIQUID. I realized later that it was probably because I sifted the coconut flour before measuring. Baked it for almost 15 minutes longer. Still turned out great. I iced it with a chocolate ganache using coconut cream and melted chocolate, whipped and chilled. I also added sliced strawberries between the layers and whole strawberries for garnish on top. My husband is very particular about his sweets and hates the thought of eating any paleo desserts. He had no idea this was a paleo cake! I also served it with paleo strawberry ice cream. Thank you for the recipe! Definitely one I will keep in my recipe box. I made this cake for my son’s birthday and I HAD to come back and tell everyone, because it is truly DA BOMB. I used Elana’s Pantry’s chocolate frosting recipe because chocolate, and I doubled the 9″ recipe because it was a kid’s birthday cake in the shape of a video game character….and it was just amazing. I actually then combined this frosting recipe with Elana’s to make a lighter chocolate frosting (it was two different colors) and it turned out really well! This cake is SO moist, which anyone using coconut flour for baking knows is really difficult to accomplish…but it IS! The ONLY problem is not eating too much, because coconut flour can be hard on the belly – but the richness makes that not TOO terribly hard. SO SO SO good. 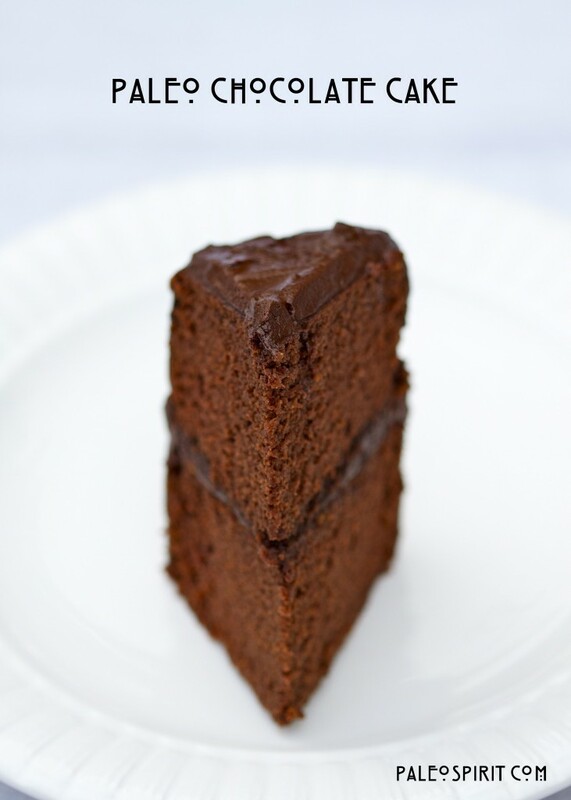 This is now in my recipe box as my go-to recipe for chocolate cake. Thank you for sharing this recipe – I am recommending it to everyone now! Cupcakes are a MUST! I use the 5″ recipe, bake at the same temp for 20 mins or so. Makes about 15 cupcakes. I don’t frost them as I use them like muffins. It’s nice to see someone talk about the cake being moist–try putting them in the fridge as cupcakes and use honey–they are super! I’m sure maple syrup works the same way. Big upside of not using sugar, besides the other obvious issues with sugar, honey keeps things moist! Cool the cupcakes completely before peeling them if you’re using liners. May I ask a question about Ghee? When you use it in a recipe unmelted, do you use the same portions as you would for chilled butter? I read somewhere that to use it unmelted (as a butter substitute) one must use a ratio of 60% Ghee and 40% water. I am curious about this as it pertains to baking cookies, cakes, and pie crusts. I read that there is supposedly an issue of the need for steam to be released to make some things flaky and Ghee itself apparently does not contain water. Thanks. You raise an excellent question and I had to do a little research in order to respond. I think you are right about the difference between ghee and chilled butter. When I make ghee I cook it to not only remove the milk solids but the water as well. So if you are baking something that would react to the evaporation of the water in butter you will most likely end up with a slightly different result if using ghee. When I make paleo baked goods I tend to alternate between butter, ghee and coconut oil and have just used them interchangeably. It’s a very interesting idea about adding extra water when using ghee but I have not personally tried making that change. It makes me a little nervous to add water when I know I have successfully used the same amounts of butter and ghee in recipes. If you try it be sure to let us know how it goes. Thanks so much for the comment. Your recipes are wonderful! 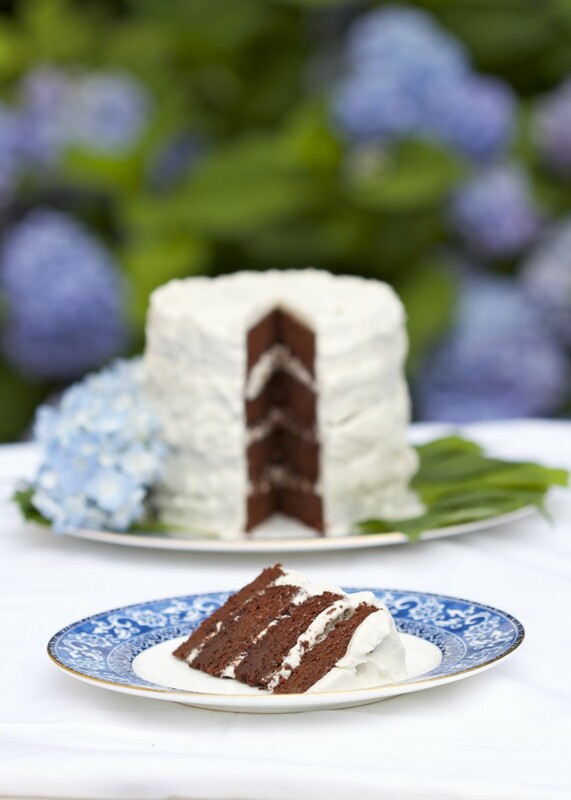 I have taken both the vanilla cake with chocolate frosting and this chocolate cake with honey vanilla frosting to parties recently, and everyone has raved about them. No one knows what is in them but they always ask because it is so yummy that they want to know what I put in it! Plus, the cakes are beautiful, and my daughter loves to make them with me. I was able to successfully make the honey vanilla frosting with butter and it was fluffy and lovely. The chocolate frosting from the other recipe I ended up substituting slightly chilled coconut oil for because I did not have access to palm oil and I didn’t have butter. It worked marvelously, but I kept the finished cake chilled until shortly before I served it. The first time I made it…I ended up with a puddled mess because I brought it for my brother’s birthday and it was hot…but it was so delicious that no on cared…we just drizzled the mess over our our cake and added fresh strawberries! Yum, yum!!!!!! People request my cake….and it isn’t anything special…but something quite special, at the same time. Sadly, I can’t tolerate coconut very well right now. But everyone else in my family can, and we love love love these recipes!! My son can finally have cupcakes at birthday parties again thanks to you. We make these up ahead and keep on hand in the freezer for him to take. Oh, and the layer cake in this recipe…we made it be three big layers instead of four small, and I left out the cacao for one portion of the recipe and made a marble layer, and it turned out so pretty! We also added Enjoy Life Chocolate Chips to the top and unsweetened coconut to the sides. Fun! I couldn’t add a picture though. Thanks again. I’m planning on doing this cake for my birthday next week but I can’t find palm shortening anywhere! What’s a good substitute? I have butter and coconut oil and I think I might be able to find some ghee, which one should I use? Also should I make any adjustments for high altitude baking? I live in Mexico City which is at 2,400 ft. If you can eat dairy then I recommend you use butter. Just keep in mind the frosting won’t be white like it would with the palm shortening. You could try coconut oil as long as it is not in pure liquid form. The only time I’ve seen recipe adjustments it has been for places above 3,000 ft. So you’ll probably be fine using the recipe as is.Good luck and have a happy birthday. My girlfriend decided to make this cake for my birthday. She found this cake knowing that I’m paleo and that I don’t like “normal-people” (bought-from-the-supermarket or made-from-the-box-of-cake-mix) cake. And that I LOVE dark chocolate. We opted for the Chocolate Ganache Bacon Frosting, of course. It turned out to be thoroughly amazing. As soon as I put it in my mouth, I thought: “This is what cake should be!” The bacon really was like a salty, chocolate covered pretzel, which was very good here. My girlfriend shared it with some co-workers, and they didn’t like it. But I think that’s because they eat “normal-people” cake and think that’s good. They don’t understand what they’re missing. This was the perfect cake for us, and we’re definitely making it again. Thanks for the comment. I’m so glad you guys like the cake and you were brave enough to try the chocolate bacon frosting! I had to chuckle a little at the mention of others who didn’t like it. I think you are absolutely right that so many people are just used to “normal people” (meaning packaged, overly processed food with suboptimal ingredients) they can’t appreciate some other, often less sweet, alternatives. I’ll bet you can win them over eventually! Can’t find a place to post a new comment… wanted to let you & others know: 1. This cake is awesome! 2. I made changes and it still turned out really tasty. It’s rich though, oh boy. I used the 2×5″ pan ingredient list, and halved it – I have a small 5 or 6″ springform pan so I used that. I used 3 eggs, coconut oil, no vanilla, exactly half of each dry. BUT I had no liquid sweetener at all. So I just added 1/4 c coconut sugar and a few spoons of xylitol crystals with an extra tbsp. of water. Batter was perfect. Not super runny but not whipped thick or still either. It spread naturally and I just had to push it out to the edges. It baked up and rose beautifully, took longer than I thought to get the center done but otherwise awesome. (Maple syrup and vanilla would boost the flavor immensely, and butter would rock out the coconut oil) But you don’t NEED a liquid sweetener, at least I didn’t. My cake wasn’t dry it was moist and held together perfectly, nice gentle crumb…. I’m a full time stay at home dad, and have been for 7 years. I’ve made A LOT of meals for our 4 kids, as you might imagine! I cook Paleo for our oldest son who has Crohn’s Disease. Anyway, this recipe is my favorite, not only because it tastes great, but because it is very adaptable and versatile. It is also healthy–please keep this in mind! In our case, we get the benefits of raw honey, 100% cacao, coconut flour, coconut oil, eggs–you name it! I’ve never baked a cake before but my husband is on Paleo diet and I wanted to make him a little something so he doesn’t feel like he is missing out. So I came across this blog and gave this cake a go…It turned out AMAZING! It’s a very easy recipe to follow for a novice like myself and the results are great. I’ll definitely be doing more baking in the future. Thank you for sharing this recipe. I made this as cupcakes today! Delicious! I used honey instead of Maple Syrup because I was out of Maple Syrup. My kids loved it. I had to find a different recipe for frosting because I was missing an ingredient and had no substitutions at home. I look forward to trying the frosting next time. Again, absolutely delicious and perfect for my husbands birthday! I cant eat eggs. Can i omit the eggs or replace with applesauce/banana? I have yet to find a coconut flour cake recipe that would work without eggs. The cake looks amazing but no eggs for me. I know a lot of people who can’t eat eggs. But, unfortunately, I can’t recommend using an egg substitute with this particular recipe. It has too much coconut flour and therefore requires a LOT of eggs. I think the substitution can be made in other recipes where less eggs are required but it would be tough with this one. I suggest you try to find a cake made with something like almond flour. Thanks for reminding us about that comment, Nancy! Saving this page for all future cake endeavors! Thanks a million! Hi! I LOVE this cake and always get the MOST compliments when bringing this cake to an event. I have used both the coconut frosting as well as the ganache. Both are amazing, but I switched up the coconut frosting a bit and it is FAB! I have no idea where to get the palm shortening, so instead I just use the coconut cream from the top of the full fat can of coconut milk, about 1/4 of the milk from the can, the 1/3 cup of honey and the 1/4 teaspoon of vanilla. It is to die for! Anyway, I am curious. I have made this cake about six times I believe, and every time, they are not thick enough to cut in half to make the 4 layer cake. What am I doing wrong? Are you doubling the recipe? That is the only thing I can think of. This cake doesn’t really rise much at all, and I am going strictly by the recipe. HELP! I’m very happy you like the cake. I like your frosting variation, it sounds delicious. 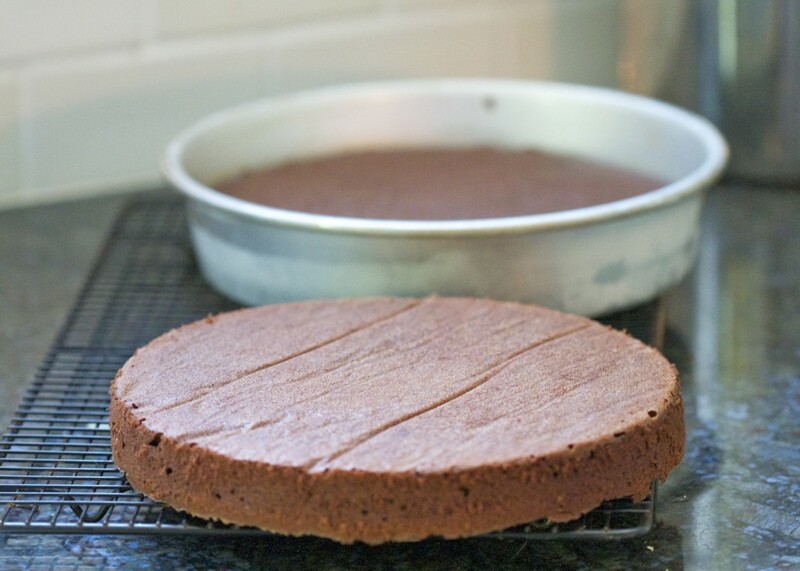 The cake in the photo that is 4 layers is the version of the recipe using the 5 inch pans. You’ll notice there are two version of the recipe – one with measurements for 2 5-inch pans and one recipe for 2 9-inch pans. The 5 inch pan recipe yields cakes that are thicker and are easier to handle (cut in half) to make the 4 layer cake. The 9 inch cake pan recipe is not really meant to be used as a 4 layer cake – it’s more of a traditional birthday cake. I hope that helps. Hi, tried this recipe this morning, the 9 inch version but my batter was basically chocolate water and the cake turned out delicious but very thin and dense, like it didn’t even rise. Followed the recipe exactly, what am I doing wrong? People have a wide range of experiences with coconut flour because brands vary and small differences in measuring make a big difference. My batter was fairly thick but several folks have had thinner batter that cooked up well. If you want it fluffier I suggest you separate the eggs and whip the whites then gently fold them into the batter right before cooking. This is a fantastic recipe! I did a trial run yesterday, so made half the 9 inch tin recipe. It was really quick to make and the cake tastes delicious (so good in fact that I ate nearly half of it last night!). I couldn’t get palm shortening here in the UK, so used coconut oil instead and it worked out really well. Will definitely be making it for my birthday next week and might try the chocolate frosting instead. One thing, which was odd though was that it cooked really quickly – mine was done after only 20 mins! Thanks for this great recipe, it’s the only time I have ever used coconut flour successfully! My son has Crohn’s Disease. He’s 10 and has had this horrible disease since 6. After hitting rock-bottom last May 2013, I decided to go Paleo with him, and he’s currently in remission. Paleo is working, no thanks to our doctor, who thinks diet manipulations are crazy! Anyway, this recipe has helped to maintain his nutrition and give him something fun to look forward to. It’s a rather nutritious recipe quite frankly and very easy to make. IT TASTES AWESOME! In fact, I’ve had kids not of my own, try this recipe and they love it!! Nonetheless, this recipe comes out the same way EVERY single time–and I love that! I use a 9″ cake round (aluminum) and simply make the 5″ recipe in the 9″ pan. I bake for 30 minutes and it’s perfect. I highly recommend using coffee as the recipe says–it brings out the flavor! It’s not a cheap recipe, but it’s not your typical chocolate cake either. I make this for our son twice/week and it serves as breakfast, with fruit, most mornings. It’s high in fiber, IRON, and a great way for me to get eggs in his diet. LOVE IT!!! That’s such an awesome story. Thanks for sharing about the health of your son. I’m glad to hear he’s in remission. It’s a terrible disease and even more difficult when it’s someone so young. I’m really excited to hear the cake helps him. And I have not tried the 5″ recipe in one 9″ pan but it’s great to know that works – will definitely have to try that. I’m a HUGE fan of coconut flour and this is what brought me to your site, as I think people tend to go overboard on almond flour… I believe there is a time and a place for specific flours. You cook Paleo enough and you learn this, as you know. Your bio reads a lot like our son’s, who has Crohn’s. For him, I’ve narrowed his issues down to gluten and dairy. So I just eliminated everything! Why not? He was sick following doctor “advice” and now he isn’t. Paleo is a lifesaver for a lot of folks, even if it’s temporary (we’re 7 months remission and going strong). Paleo (with the use of some mild meds) has reduced our son’s protein score to a 90th of what it was June ’13 and 140th of what it was 2 years ago. This is good enough for clinical remission. Yes, you read that right. We are now talking about taking away medications, a first for us. Even if we stay on meds for our son, Paleo has really helped, and thank you for posting such great recipes because they are helping us!!! Without Paleo, and recipes like this one, our son would be on some serious medications, life-altering meds, and most likely would be headed for surgery. Food can make a difference. YOU are making a difference Lea by posting such great stuff! Thank you! Following Steve’s lead, I used the 5″ recipe in an 8″ square baking pan. I frosted it with a rich chocolate avocado pudding. Yum! Happy paleo birthday to me! Thank you so much for the recipe. Thumbs up on the chocolate-avocado! This is a great combo for those not familiar with it. My kids, all 4 of them, won’t eat avocado on it’s own even though I try and try–it’s sooo good for you!! Pairing it with cocoa powder as a pudding is a great sneaky way to get them to eat it! I think I’ve been making this recipe since October? I bet I’ve made it 20 times already. Like I posted earlier, I use the 5″ recipe (the one with 6 eggs) and generally make one 9″ round. Oh, and I use HONEY instead of maple syrup, but that’s just what I can get on the cheap. Tastes great! I make it mostly for my son, who has Crohn’s, but I’ve been starting to eat them too!! Here’s why: CUPCAKES! Yes, I now take the 5″ recipe and make regular-sized cupcakes, or what I refer to as “muffins” since I don’t ever frost them. Also, if you’re using this recipe as a health food, which you most certainly can (are you kidding me?) then feel free to add things like chopped walnuts, like I do. Nevertheless, one thing I love to do with these Paleo cupcake/muffins (which makes about 15 cupcakes in a regular sized tin btw using the 5″ recipe) is to store them in the FRIDGE. I’m eating two/night now, because they taste great cold. And I’m NOT Paleo! Love them! I’m not alone–our son loves them out of the fridge too. Don’t knock it until you try it! Anyway, I cannot stress enough how great this recipe is. Go ahead and make it in CUPCAKE TINS: Use one 5″ recipe, tin liners, and bake at the same temp for about 20 minutes. Let them cool completely!! Put them in the fridge once cool and chill for a few hours (optional). Using honey, I’ve noticed they stay really moist, even in the fridge. I even make the 5″ recipe, in cupcake tins of course, and take them on road trips for the kids!!! I have four kids, 1, 5, 8, & 10 and I’m trying to get more fiber, iron, protein, GOOD chocolate, in their diets and THIS is my answer!! Make it! Try the cupcake tins!! I have made this delicious cake about five times now. I make it without icing, and do one 9 inch. One of my best friends loves it plain with fresh strawberries on the side. It’s my easy take-to-a-dinner-party recipe, especially with a 20 month baby running around. I forgot to mention that instead of coffee/water, I use whipping cream. I know it is not paleo and has much more fat, but it’s SO yummy! This was amazing! Made it for my son’s 18th birthday and it was gone in a day! I made a mistake using low fat coconut milk for frosting and it would not whip. Once I realized my mistake, I melted coconut oil and added it to the frosting! Voila!! That did it! Within minutes my frosting whipped!!! I wanted to make this into a black forest cake for my other son’s birthday. I am thinking about replacing coconut flour with almond flour. Do you think it would work? I’m so glad the cake was enjoyed by all. You really cannot substitute any other flours for coconut flour. It is very unique and you do not only need a lot less of it in a given recipe you need far more moisture and eggs. I suggest you do an internet search for an almond flour cake rather than trying to alter this one. Sorry I don’t have one for you at this time! Hello, I just came across your blog this week when I was doing a search. I tried to make this coconut/honey frosting today, but it didn’t turn out 🙁 I don’t know what I did wrong. For the canned coconut milk, is that supposed to be cold and only grabbing the fat as opposed to the liquid, correct? I mixed and mixed for a few minutes but it’s more bits of chunk than anything. Suggestions? Sorry you are having trouble with the frosting. You are right to use the fat from the can of coconut milk. Also, this recipe really requires an electric mixer on high speed (not sure if that is what you are using). It does take a long time because it kind of breaks up then when you keep mixing it should eventually come back together and be fluffy. You are not the first to find this tricky. The frosting recipe calls for palm shortening. I imagine it’s possible to use solid coconut oil but I am not sure it will work quite as well as palm shortening because it tends to melt more easily whereas palm shortening is more like standard vegetable shortening (like Crisco but without the trans fats!) I use full fat coconut milk from a can for this recipe which is what it sounds like you did. So my guess is the difference is using coconut oil instead of the shortening. I would have to reread through these comments but I thought I had read others use coconut oil with success. Even if you ended up using confectioner’s sugar to save it the whole cake/frosting combo is still more nutritious than a standard cake. I hope you at least liked that part and your son had a good birthday! I just made this cake and I think I did something wrong…put the amount of salt in the recipe, but it turned out salty and not very sweet, used 100% pure maple syrup. I did not have the right chocolate on hand, so I’m wondering if that’s the case…also not moist?? Thoughts? Well, I just finished eating a piece of this cake because I made it for my son – today is his birthday. I have never had a problem with it not turning out good. You said you used the wrong chocolate and I have no idea what you mean by that. The chocolate adds moisture to the dry coconut flour. Also, maybe you are used to standard cakes which might be sweeter? Sorry it didn’t work out for you. I just put two 9″ cake pans in the oven. I’ve read and reread your recipe and followed it exactly (I used ghee). I whipped the eggs, slowly added the ghee, they never built up volume, 9 eggs seemed like a lot to me. My cake batter was pourable, very much like traditional ‘cake mix’ batter. You’ve had lots of comments here about that. I used Bob’s Red mill Coconut Flour. What brand did you use? Did you pack your measuring cup? My measure was not packed, and it was leveled off with a knife. I know 9 eggs seems like a lot – it is. But it does work. In fact I made this cake for my youngest son’s birthday just the other day and still have some left. It turned out great once again so I know the recipe is valid. And I do typically use Bob’s Red Mill brand coconut flour. I DON’T pack the measuring cup though. I have recently tried to standardize the weight and I am using 1 cup of coconut flour = 112 grams. So if you have a way to weigh your ingredients maybe that would help. I used exactly 112 grams per cup when I made it this last time and it worked. My batter is a bit thicker than what you described but others have said their batter was thinner and it still turned out fine. Good luck! Anyway – thanks for the recipe, it is DELICIOUS! That experience seems to be fairly common. I need to go back and weigh out the coconut flour to figure out exactly how much should be in the cake – although it seems like the recipe works pretty well even if it’s a bit off. I’m so glad you like it! Hello! This is really exciting because it’s my husband’s birthday and after baking a disastrous cake from another website…claiming it’s Paleo even though it had Almond Flour! We have succeeded and won the war! 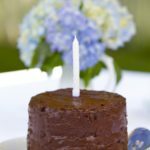 😀 The Paleo Chocolate Birthday Cake listed on this website is absolutely incredible and SO EASY AND STRAIGHTFORWARD! My husband has an UC and going Paleo has made a huge difference in our health. We are very grateful to have found this recipe that worked so well. Thank you! I have a q about baking powder vs baking soda before I make this so I use the right one…… your recipe calls for baking soda which I thought needed an acid to make it work, however there is no added vinegar/ lemon juice. Am I right to use baking soda or should I use baking powder with the pre-added acid? I am in Australia so not sure if the terminology is the same in both countries? I just answered my own question about soda vs powder at this website http://joythebaker.com/2013/10/baking-101-natural-vs-dutch-processed-cocoa-powder/ …….make sure you don’t use dutch processed cocoa powder! I just made this recipe the other day. I am on the SCD diet so I substituted the coconut oil with butter and the maple syrup with honey. The batter was literally so thin it was almost like water. I was so confused because of how thick it is in your picture. I let it set to see if it would thicken to no avail. I ended up baking it anyways and it took almost double the time but still came out tasting amazing! It has a consistency more of sponge cake, but still tasted good. Any reasons you can think of as to why it did that? I also substituted the palm shortening with butter in the frosting recipe and it turned out like honey butter – no big surprise! ha. I might use a more SCD friendly frosting recipe next time. It still tasted good but very buttery and thick. The coconut flour is so dry and variations in measurements can make a big difference in results. Not sure if that is the issue or if there was some other difference in how you made the cake. I usually get good feedback even when the batter is somewhat runnier than in the picture. I’m glad to know it works for SCD. I just made the batter, and it isn’t as you have pictured. It came out a bit runny?? Well, not really runny, just not thick. More like cupcake batter. So that’s what I’m doing instead,lol. Any thoughts why this might be? Sorry for the delay in responding. I didn’t see your comment until today. The runnier batter is common because the coconut flour is so dry that any variation in measurement can make a big difference. I have a cookbook coming out in a few months and it will have the flour in gram weight which should help with consistency. From what I know from others’ experiences the runnier batter shouldn’t be a big problem. I hope the cupcakes turned out well. Wow! I made this cake today. I didn’t have maple syrup and used agave instead. It was incredibly delicious. My mix was a runnier consistency than in your picture (I mixed the wet ingredients in a blender), so I worried it might not quite turn out, but it was perfectly moist and a little on the dense side. A lovely rich flavor. My family has endured a lot of terrible gluten-free, grain-free cakes, but they all insisted that this is the best chocolate cake they have ever had. Thank you for the recipe! I love to hear this! Thanks for taking the time to let me know. I made this cake twice: first time in June for a collective birthday lunch at work. I can usually find something to eat (salads, fruit, etc..) when we have these, but usually have to miss out on desert. So, I said I would make desert. I made the 9″ double layer with chocolate ganache. As it would have shown if I had tried a piece at home, I was a little apprehensive of my colleagues reaction (they are a little paleo resistant). Does the fact that I barely managed to take two slivers of the cake home for my men to try it speak for itself? I made it again on Saturday for my own birthday with 7 eggs only (hadn’t gone shopping when I started on the cake). I increased the coffee to 1 cup and it worked out just fine. I filled and topped it with a swiss meringue butter cream (I know, sugar is not very paleo-minded) because I like the color contrast. Half of the cake survived until the next day (and there were only the three of us) and it was even better after a night in the fridge. I now have permission from my husband and son to make this cake as often as possible. Oh wow! I made this today for my sister’s birthday and it is hands down the best paleo cake I’ve tried. Even compared to regular non-paleo cakes, its really good!! I love the coconut/chocolate taste. I iced the cake with whipped cream and cherries to make a black forest cake and it is AMAZING!! Thanks for the recipe. This will be my go-to cake for all birthdays from now on. I have made this recipe twice and everyone loves it but the batter never gets thick like you said it should. What could I be doing wrong? I end up with two thin cakes- can’t turn them into 4 layers. Any thoughts on how the icing would hold up if used in a piping bag to decorate cupcakes? I haven’t tried it, Jackie. But I have been able to pipe some stabilized whipped coconut cream before so I think it would be possible to pipe this one too. Good luck! I’m looking forward to making this cake for my wife’s birthday tomorrow. I like the fact it doesn’t use any almond flour which could have been an issue with some guests. It will get the coconut flour and honey frosting. I’m going to go shopping to try and find the Palm shortening fo the frosting. Sounds like that’s the way to go. Crossing my fingers. Good luck! Happy Birthday to your wife. I followed your directions exactly and the batter is not thick as pictured! Going to throw in the over and see what happens! Hope it turns out ok! When I first read “going to throw” I thought for a second you had thrown it out! Most people find it works just fine even if their batter is not as thick as the picture. I’ve put this recipe into my upcoming paleo desserts cookbook (out in March 2015) and that book has grams measurements of flour so everyone should end up with the same results. Measuring coconut flour can vary person to person but it’s pretty forgiving in this recipe. I hope it turns out for you! I have just prepared the 9-inch version and everything went OK. The cake will be for my daughter’s 2nd birthday (on Tuesday) and I am going to make the frosting tomorrow. as you mentioned in the recipe, the 3/4 cup of coconut milk is aproxx. half of a can. But what kind of can? I bought the 400 ml type today and I need to the exact measures. Question 2: should I increase the frosting recipe by 1,5 x or 2 x for the 9-inch 4 layer cake? Question 3: for the frosting I would either use ghee (just like I did for the cake) or coconut oil (organic type). I would prefer a white frosting, however, I would not be happy if the lots of ingredients would turn out unsuccessful in the finished product. I would greatly appreciate your kind comments on this. Hello in Budapest. I’ve visited your city but it was in 1990 so I’m betting it has changed quite a bit. 1) My recipe calls for 3/4 cup which is 6 ounces which is 177ml. So you would use slightly less than your 400 ml can. Although, if possible, I recommend using more of the actual coconut cream than just the milk. You can put the can in the refrigerator over night and then scrape off the fatty layer to use. Different brands vary in how much fat they contain so you might not have enough of only cream – just at a bit of the remaining liquid, if needed. 2) If you are making the 9 inch cake into four layers (by cutting the layers lengthwise) I recommend you double the frosting recipe. 3) This frosting recipe calls for palm shortening so using ghee or coconut oil will not work. I don’t recommend that. The coconut oil will not whip like the palm shortening and neither will the ghee. Good luck and happy birthday to your little daughter. Looks so awesome, can’t wait. Currently making this for my wife’s birthday. You mention the batter being thick, but mine is runny, pouring very easily. I followed the recipe to a ‘T’, and thought when starting (the 5″ recipe) that 2/3 cup coconut flour + 1/2 cup cocoa would not be enough dry content with 6 eggs and the other wet ingredients listed. Any advice would be helpful. To be on the safe side, I’m going to bake the two pans one at a time and assess after the first one comes out. Okay, well I guess I should have read what the others had experienced with the batter being runny for them too (but the cake still turning out great). Sounds like coconut flour can vary a lot. Great. Both cakes going in! This cake looks Amazing! I can’t wait to make it for my sister’s birthday! Thanks. I just made this cake for my son’s second birthday and it turned out perfectly. I used the smaller recipe and baked it for 40 minutes in a 9″ square pan. I just stirred up the batter by hand, and reduced the liquid sweetener to 1/2 C total. For the frosting, I made a simple cooked glaze with equal parts coconut oil, cocoa powder, sucanat and coconut milk (1/4 C each), with chopped walnuts and cinnamon stirred in. This worked great and was very reminiscent of a Texas sheet cake, which is my personal favorite birthday cake. The chocolate cake was very good. Only problem was frosting was a little dry as was the cake. A local Gluten free/Paleo baker made it for me per recipe. She told me to keep it refrigerated. I thought it tasted a little like German Chocolate cake which, to me, always tasted a little dry. Any suggestions to keep it from being so dry. I’m not sure why it would be dry unless your baker cooked it too long. Keeping it in the refrigerator will definitely make the frosting harden and the cake more crumbly and dry. This looks amazing! I’d like to try and attempt it this week for my twin girls 1st bday smash cake pics. I noticed you have pics of the 9″ and made 1 4 tier cake. What size/ measurements do you recommend for 2 smash cakes? Jackie, I used a 5 inch pan and cut each layer in half to create the four layer cake. There are two different versions of the recipe depending upon the size pan you will use. I hope you have a fun birthday party! Lea, Just wanted to tell you that your recipe has saved my rear lol. I totally forgot to get almond flour and it is my daughters birthday today! Thank you so much and I look forward to making this for her!! Great. I’m hoping it turned out good! I made this cake and it was beautiful! I wanted to make chocolate cupcakes and remembered this recipe. How do you think it would turn out as cupcakes? Have you tried? Please let me know 🙂 Thank you! I can’t have vanilla…. I’m wondering how this would taste if I added almond extract instead? I know I could just leave the vanilla out and not sub anything else in but wondering if it would help the complexity of flavor…. You could leave out the vanilla. The coffee already gives it some extra depth of flavor – not really coffee, just an accent on the chocolate. My favorite cake growing up was a chocolate pound cake made by a family friend and it had the flavor of almond extract. It depends on if you happen to like that particular flavor. Good luck! My family absolutely loves this cake. I have not made it in a while but my husband asked for “that paleo devil dog cake” for his birthday. So glad I was able to find the recipe again. Definitely printing it out this time as it is a keeper! Hi Is the oven temp for a fan oven? I loved this cake so much! It was a huge success. We’ve been AIP Paleo for 3 months now and my kids were really looking forward to this birthday cake. They couldn’t believe this was allowed on their diets. I replaced the water/coffee option with coconut milk. I used Cocoa and Ghee. It was better than we could have imagined. I want to make more! Thank you for all your hard work perfecting this. It made us all very happy to get to enjoy something so chocolaty delicious! I am excited to try this recipe this weekend because the cake looks amazing, but those plates are gorgeous and I’d really like to know where you got them. I love the blue edging! Do you know who made them or what pattern they are? These are Wedgewood dishes. The pattern is “Bokhara” but, sadly, I believe it has been discontinued. Can 1 cup cold pressed palm shortening be substituted by 1 cup coconut oil in this recipe? If yes, will it have any problem when i make the frosting? I realize I’m late in responding to your question. But I don’t believe you can sub coconut oil in place of the palm shortening in the frosting. Coconut oil doesn’t hold up like the shortening in whipping and it can melt on you. You can use palm shortening in the cake recipe in place of the oil but unfortunately not the other way around for the frosting.